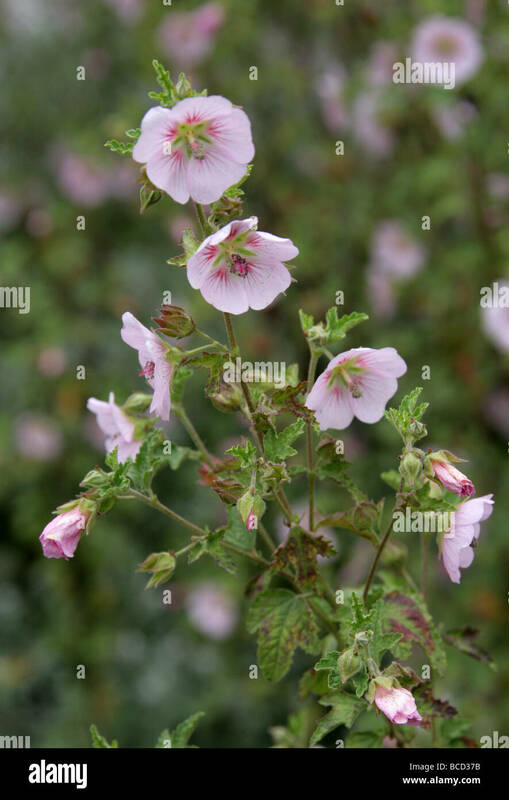 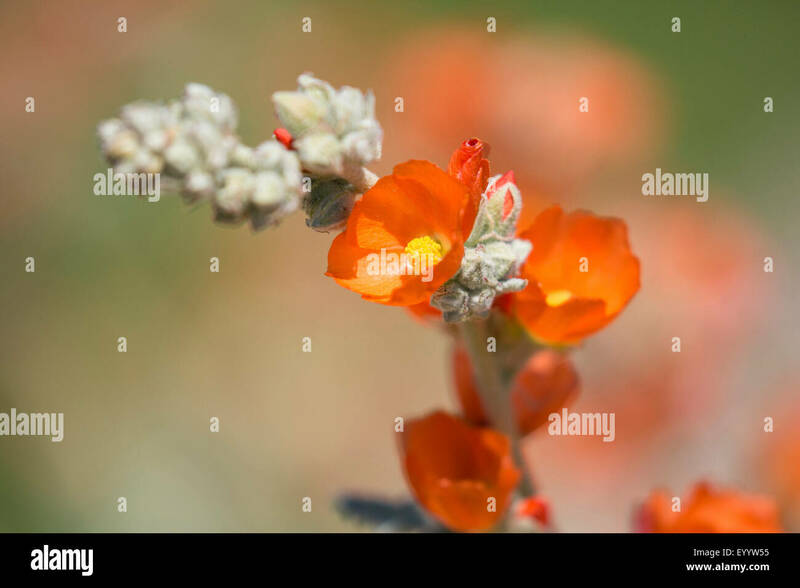 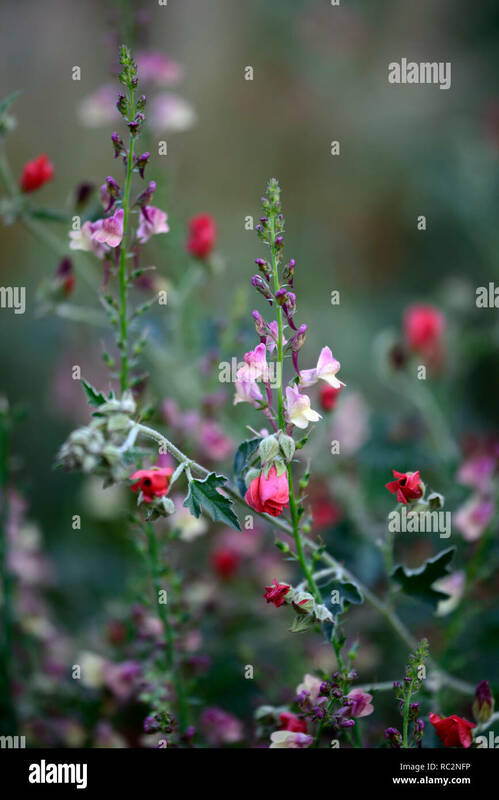 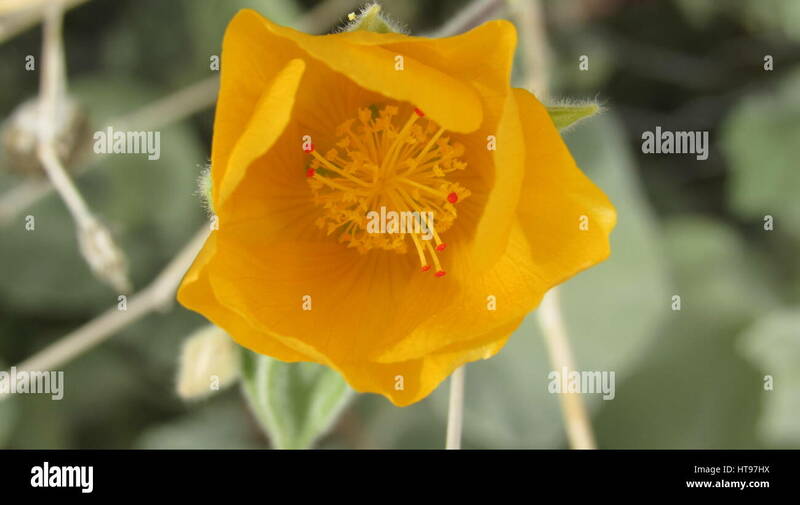 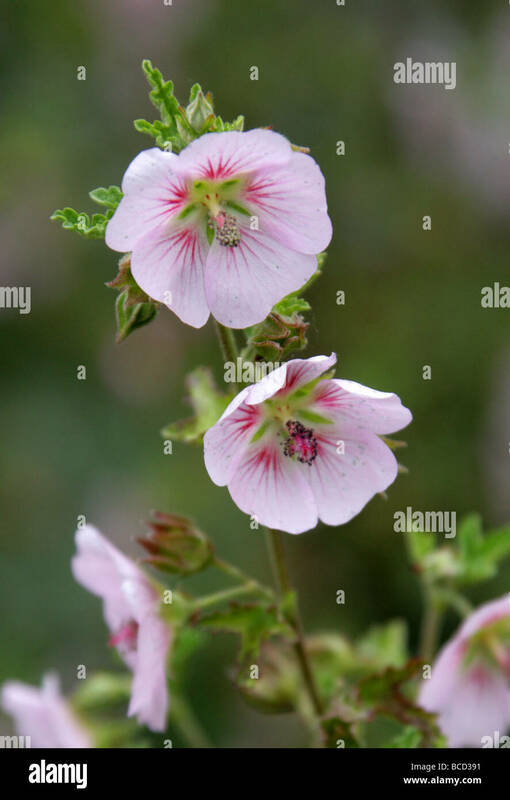 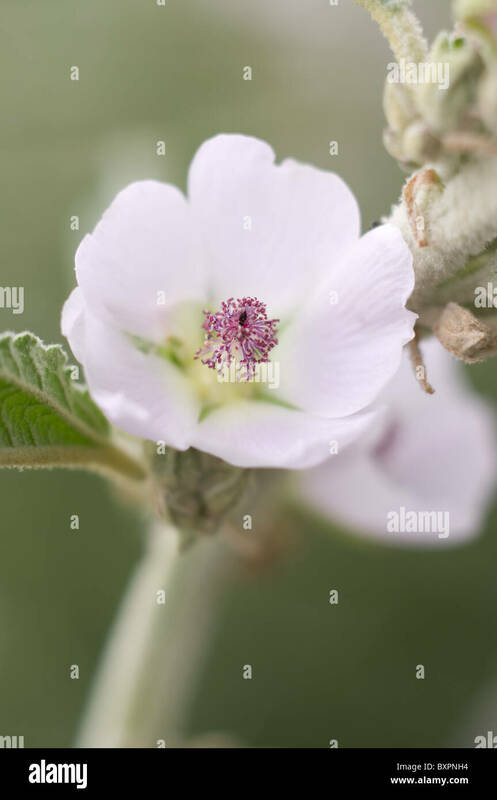 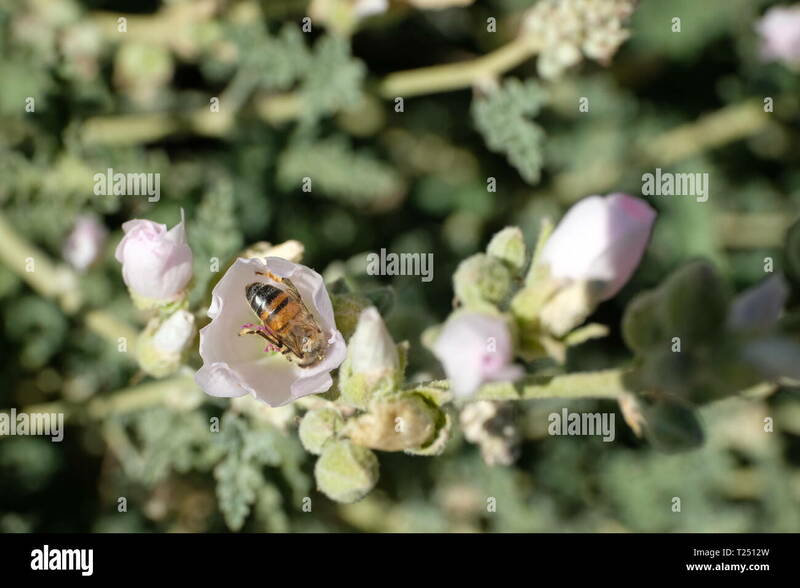 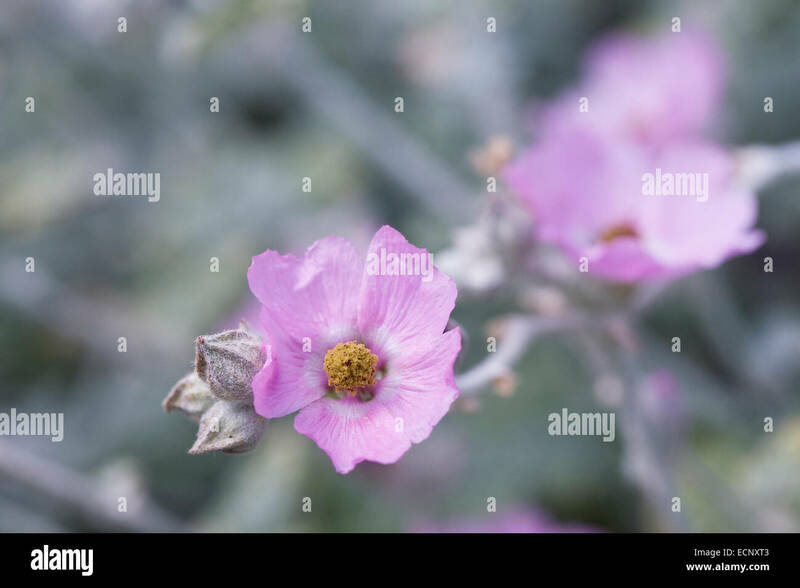 Desert Mallow (Sphaeralcea ambigua), a shrub of the Mojave Desert. 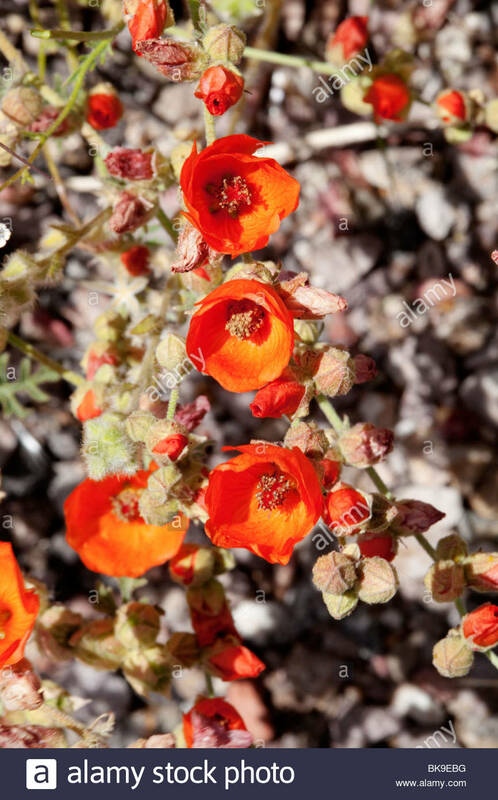 Scarlet Globemallow (Sphaeralcea coccinea) one of two globemallows that are common in the deserts of the American Southwest. 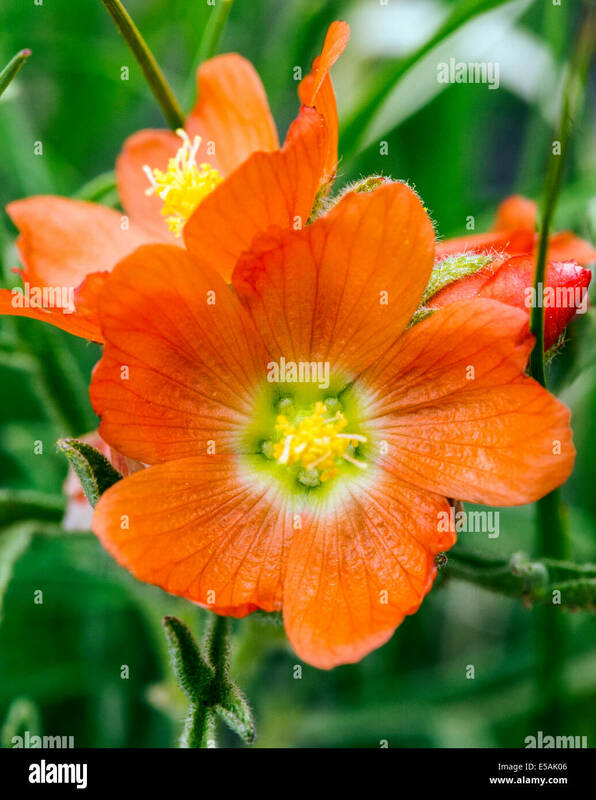 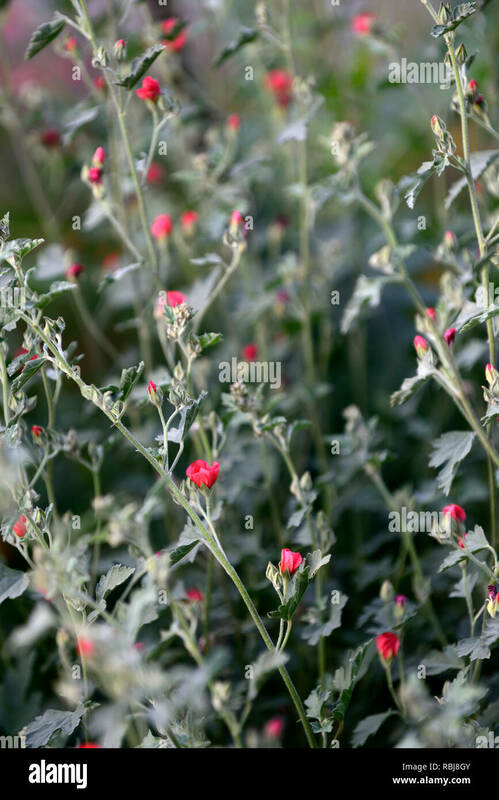 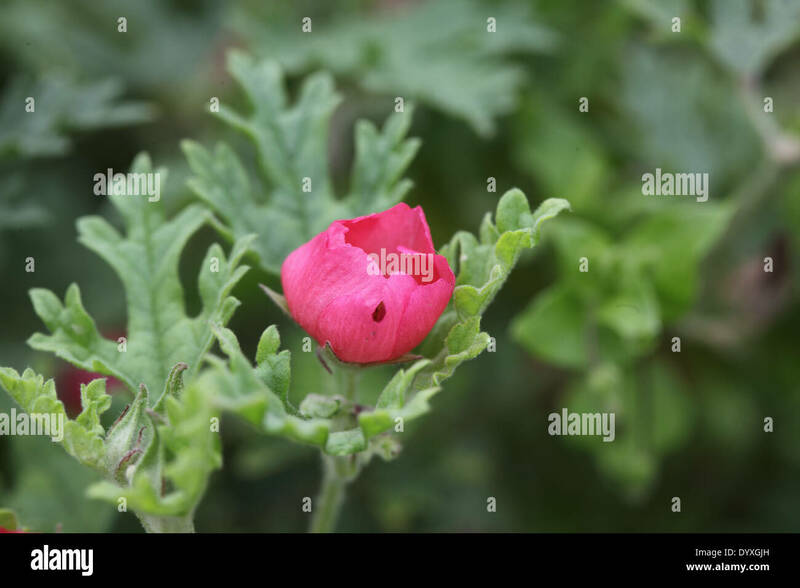 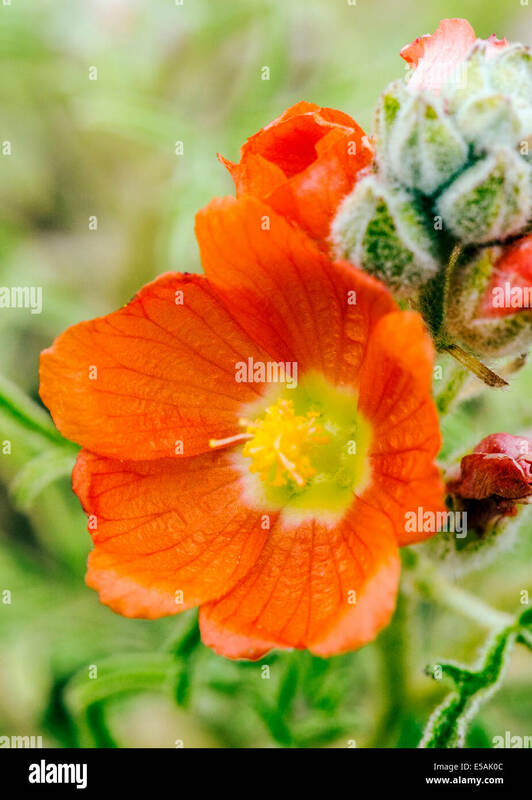 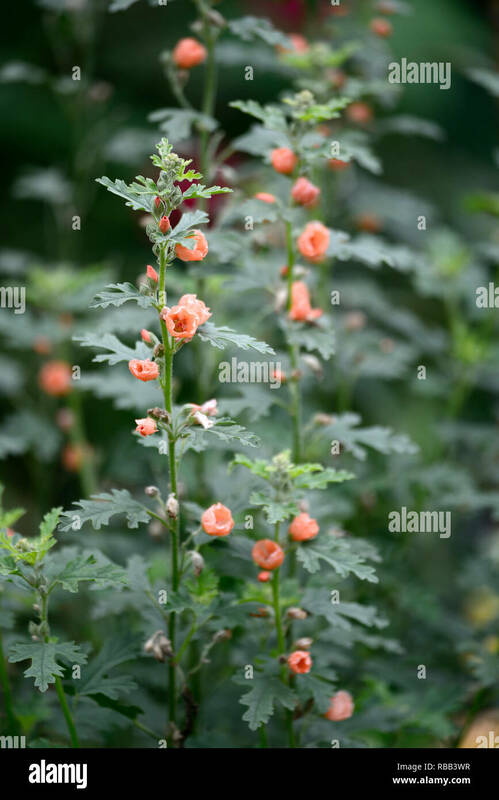 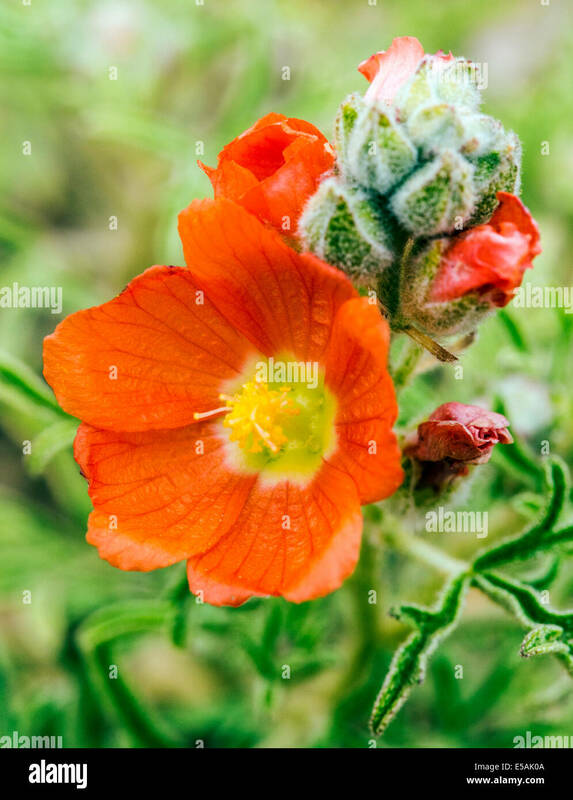 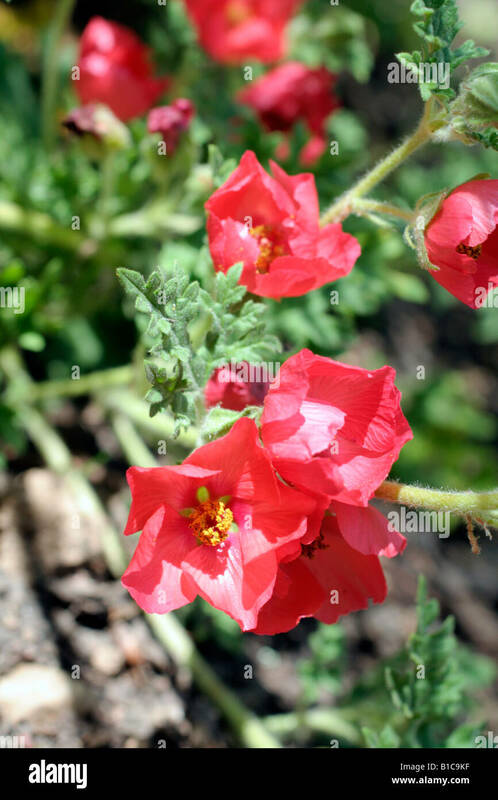 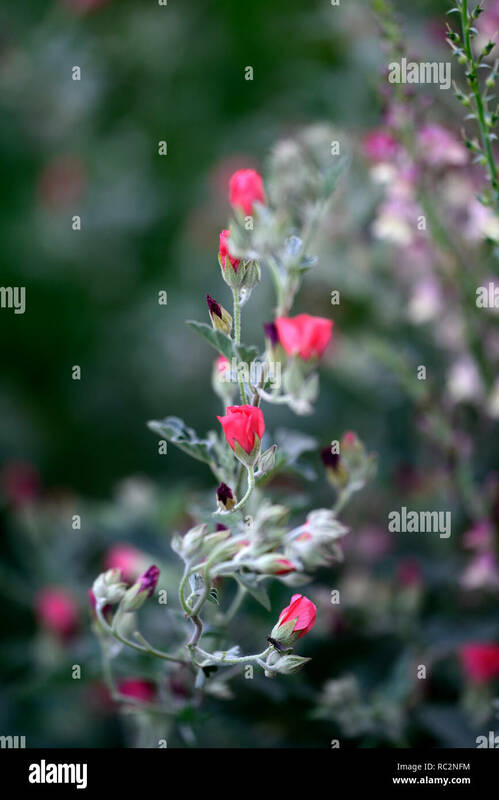 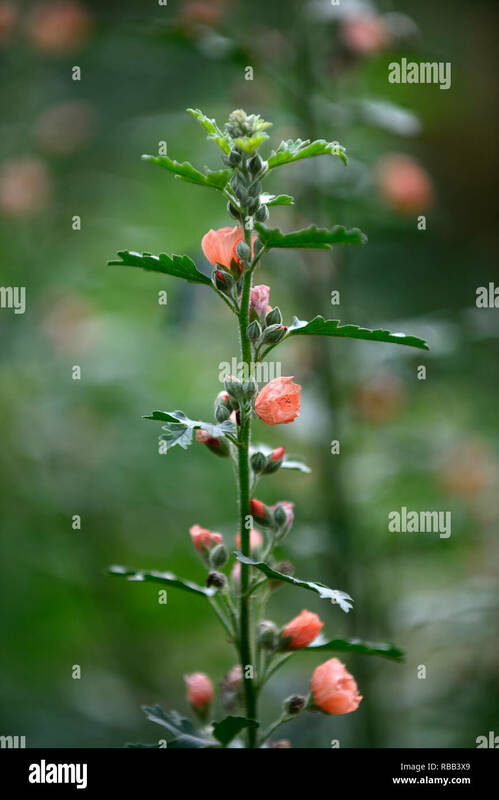 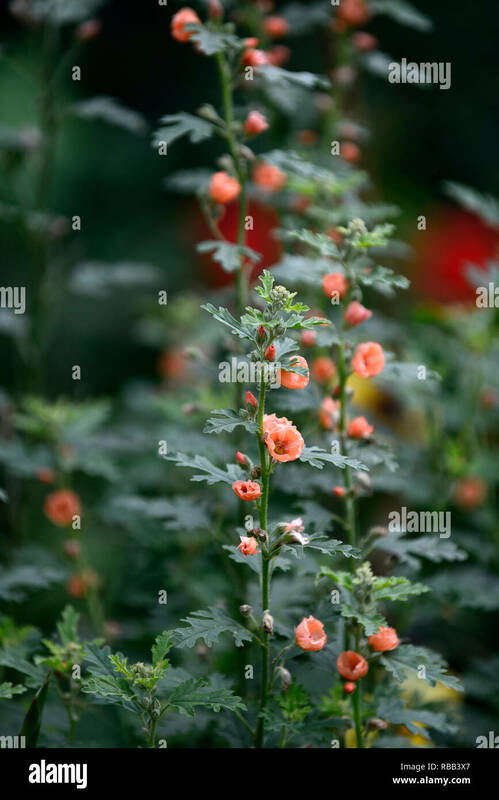 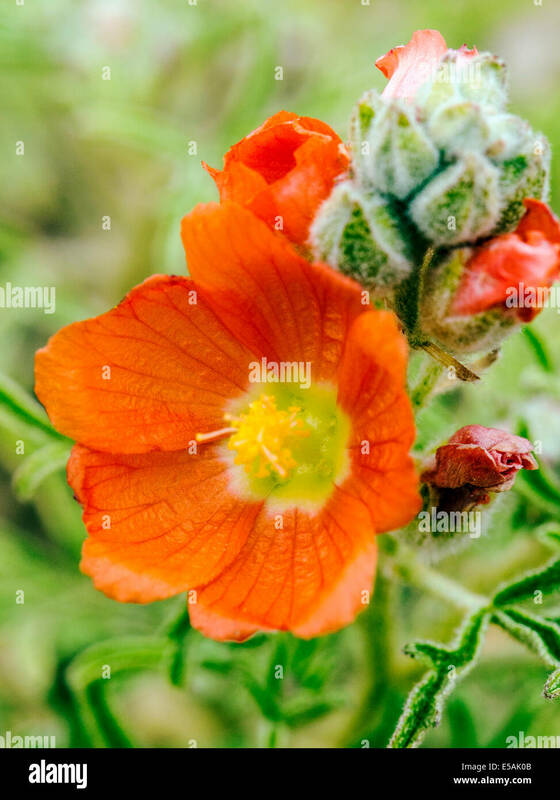 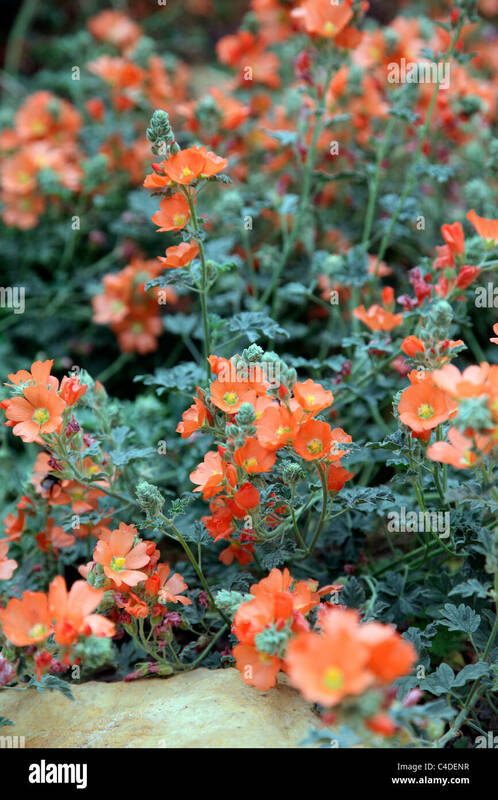 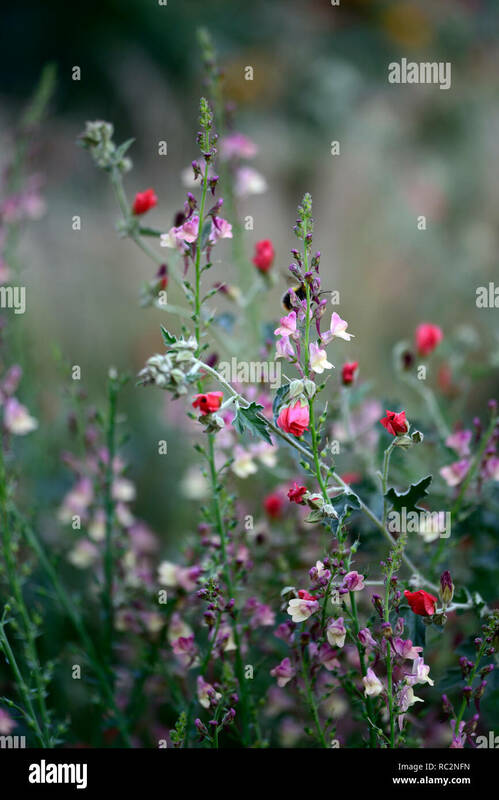 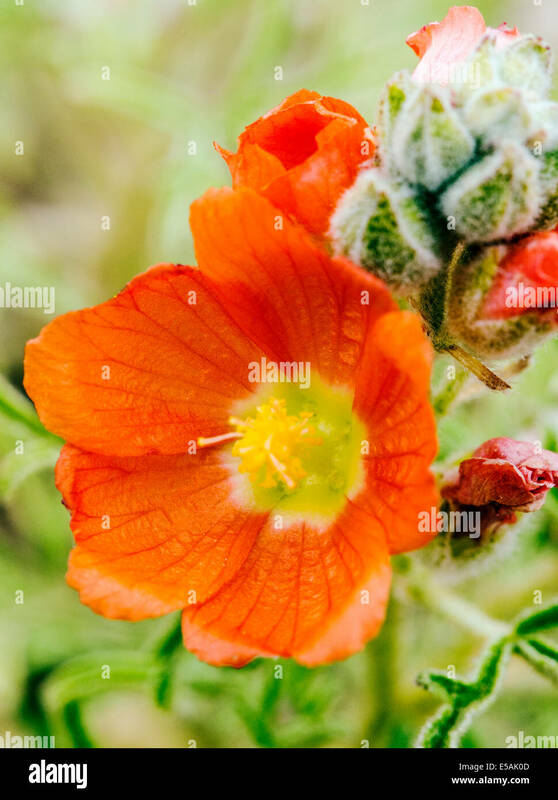 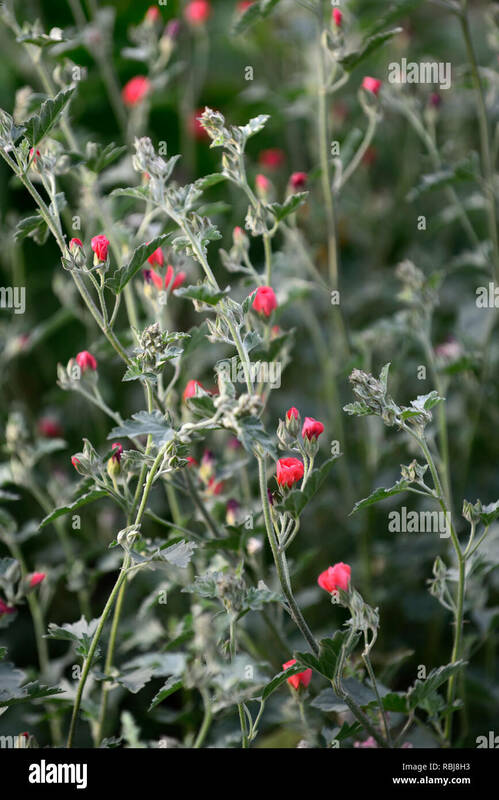 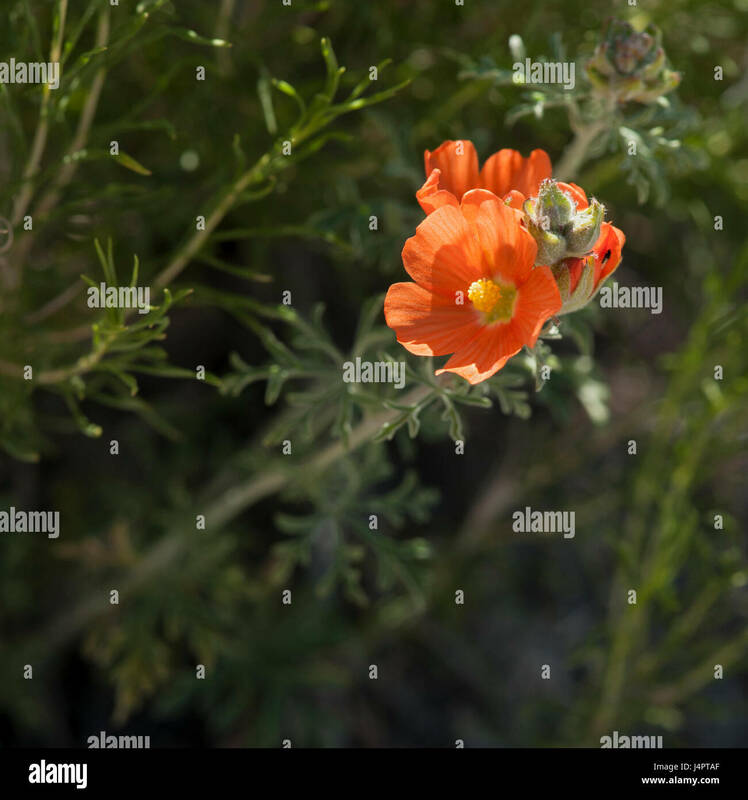 Sphaeralcea coccinea has many common names, among them Scarlet Globe Mallow, Copper Mallow and Cowboy's Delight. 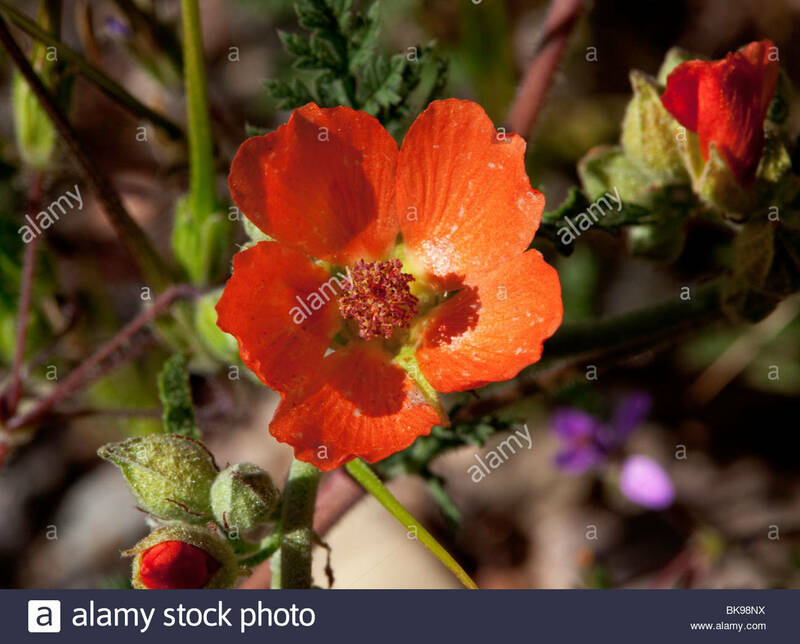 Apricot mallow (Sphaeralcea ambigua) on the Ed Hastey Garden Trail, Santa Rosa and San Jacinto Mountains National Monument, Palm Desert, CA, USA. 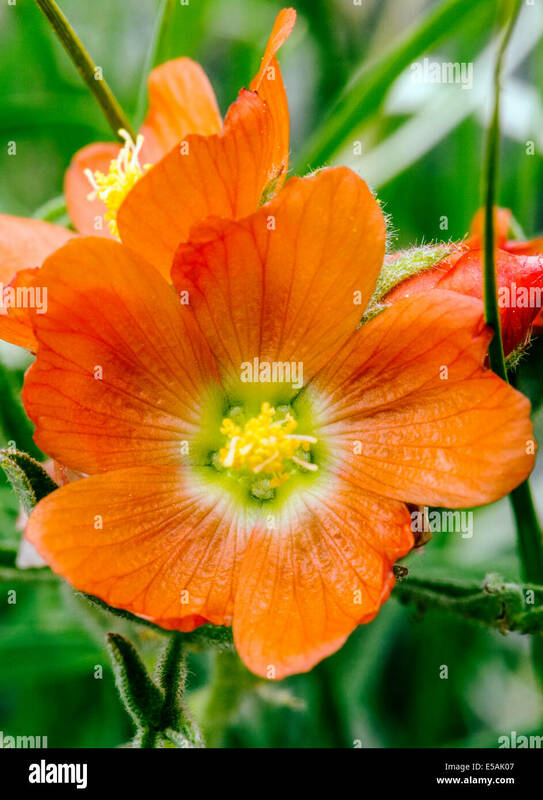 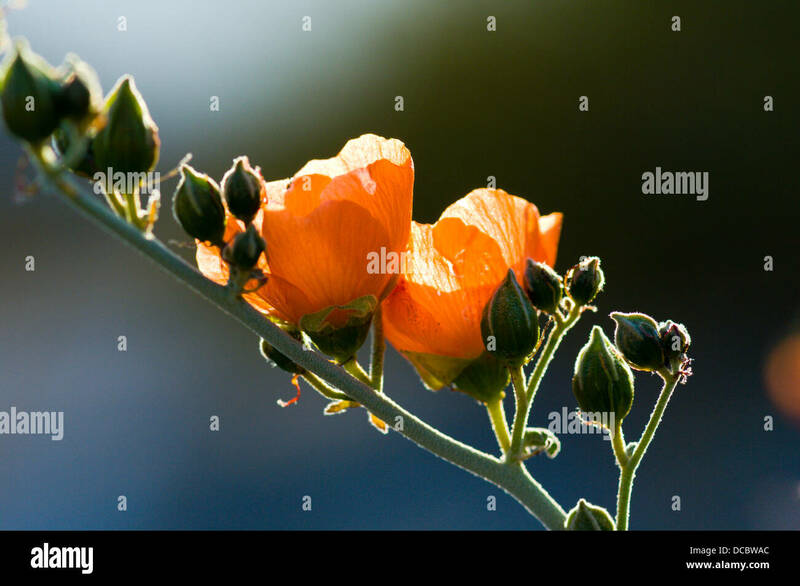 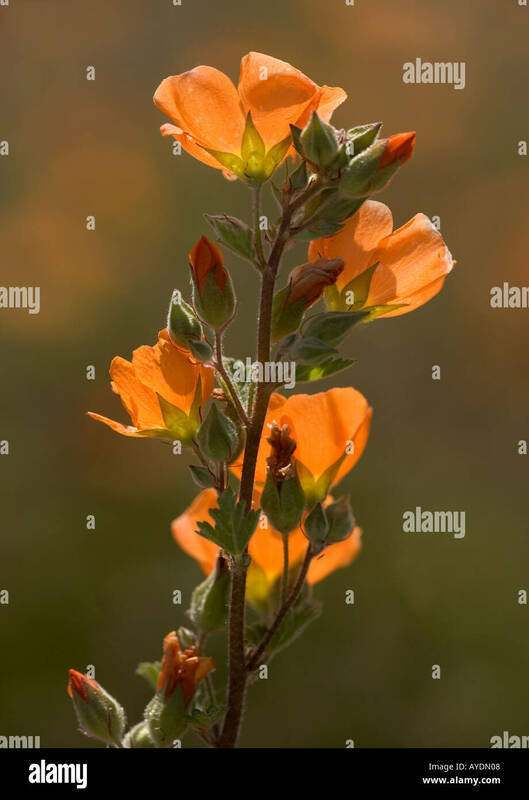 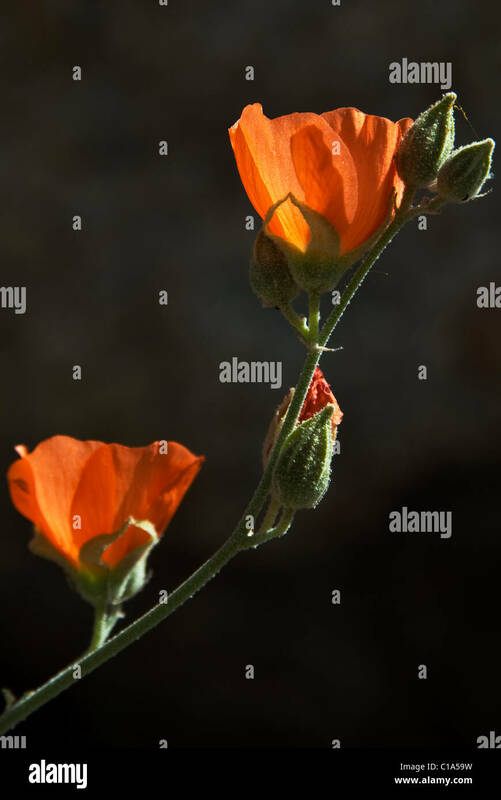 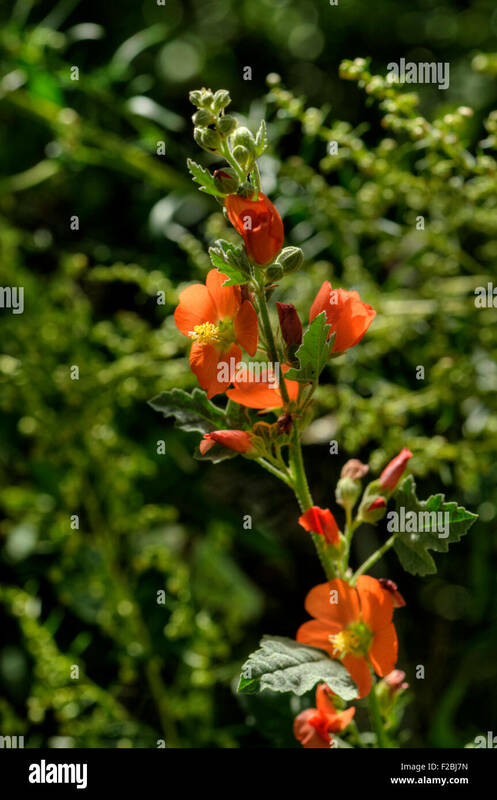 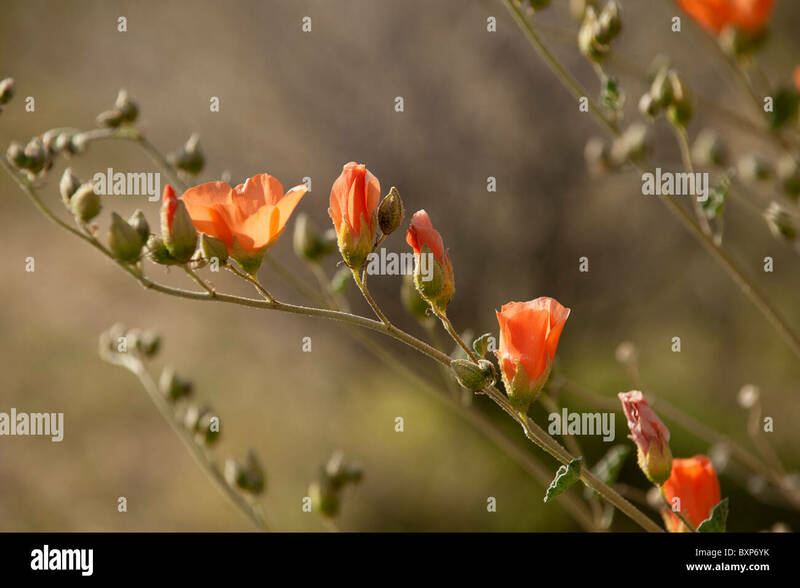 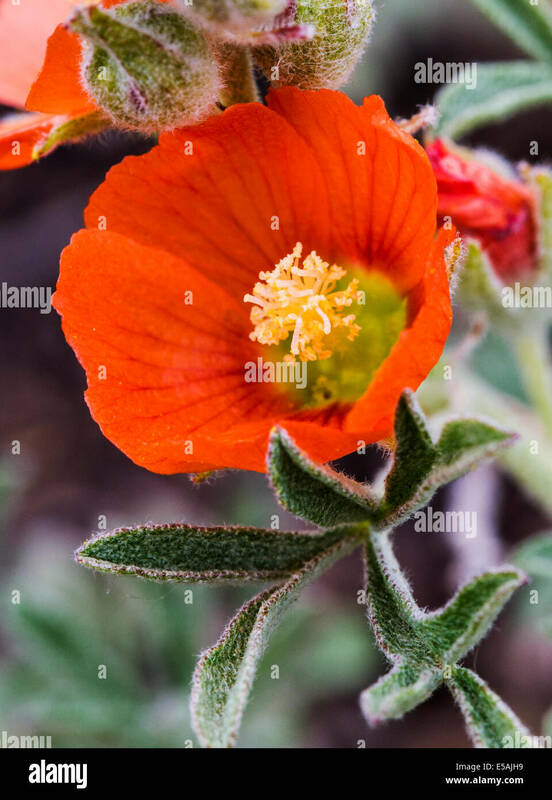 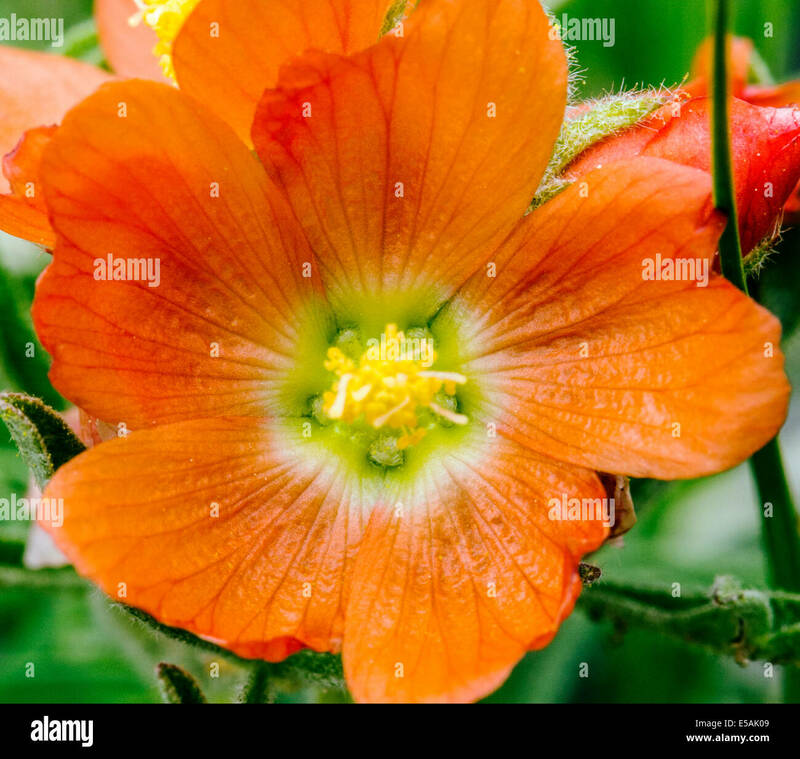 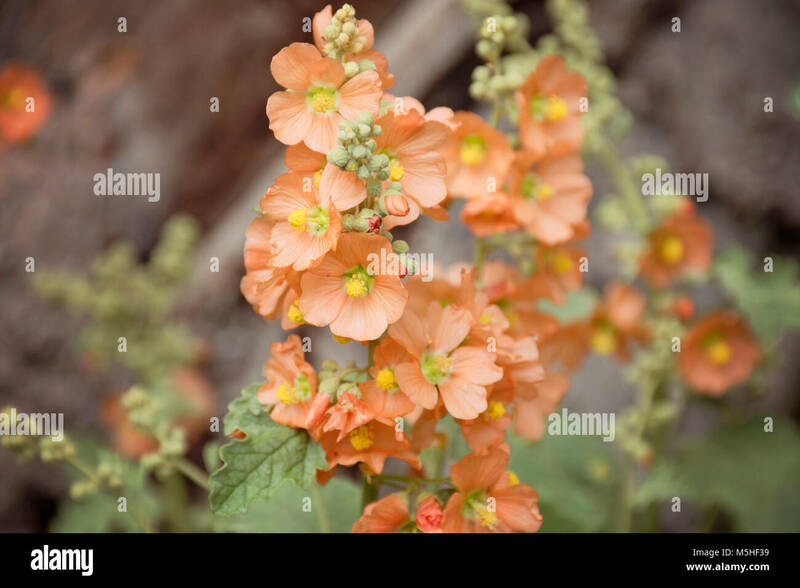 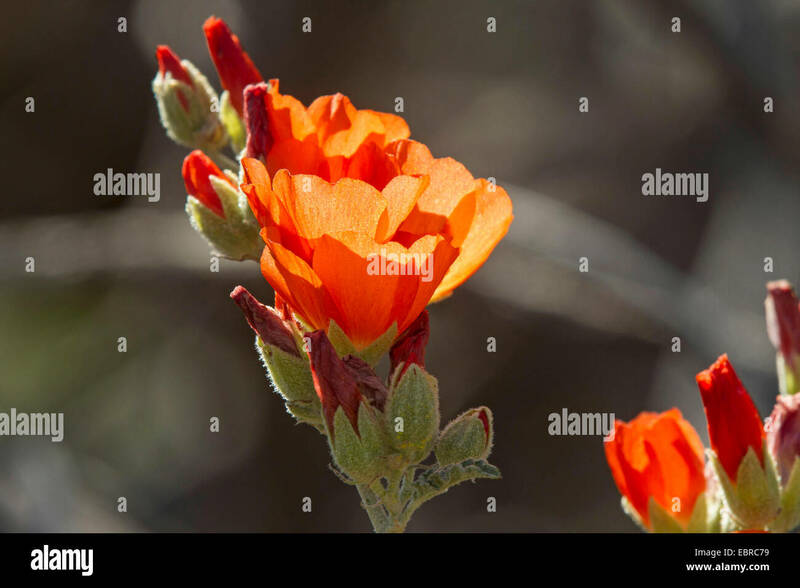 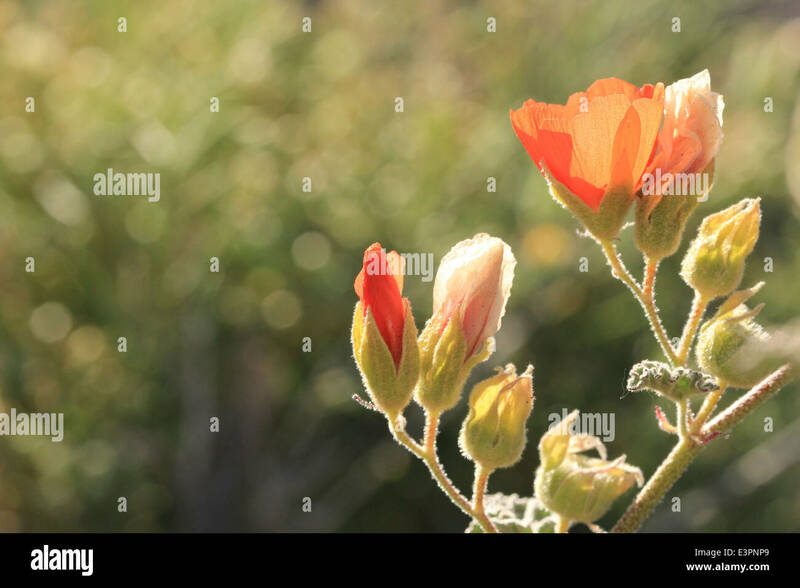 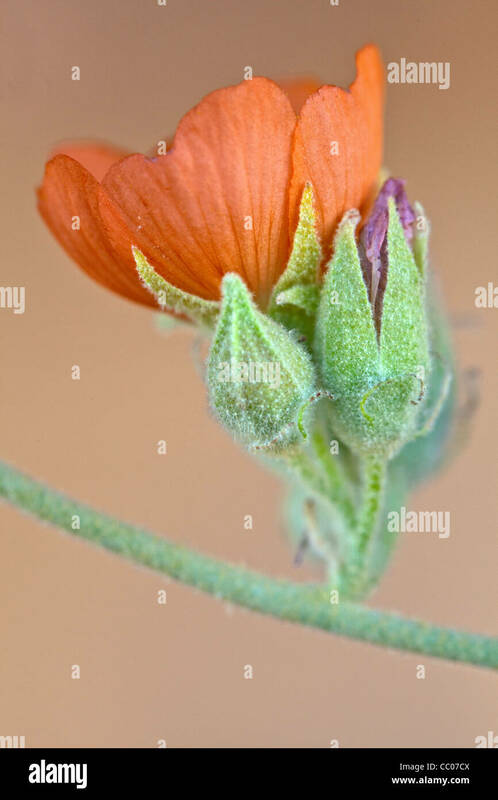 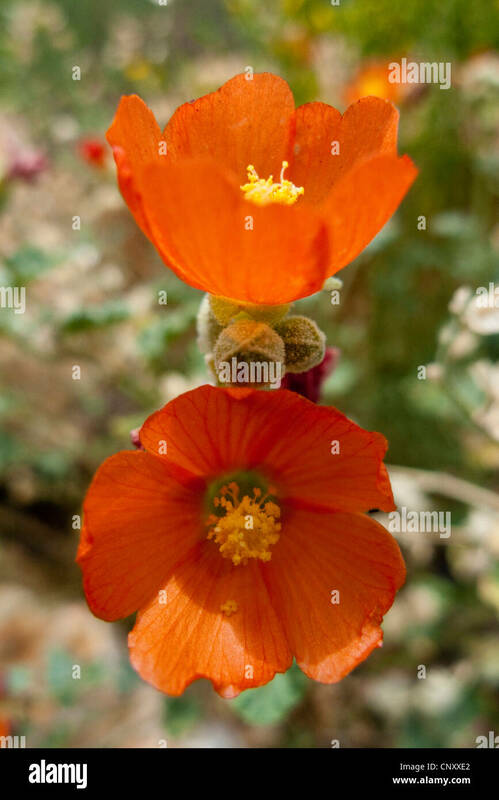 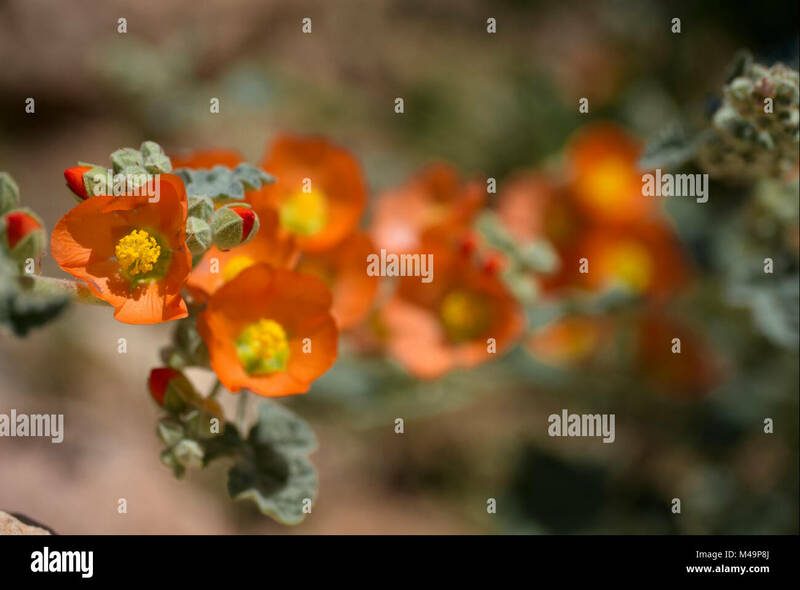 Orange flowers of desert mallow close-up and backlit. 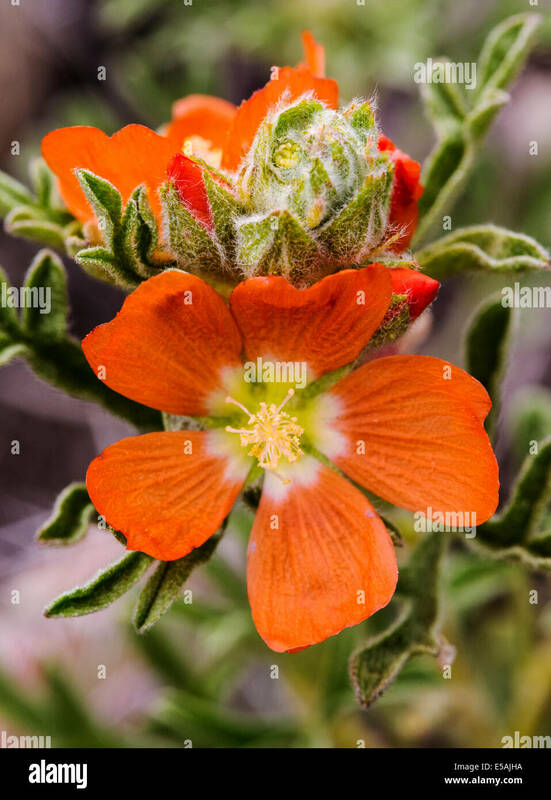 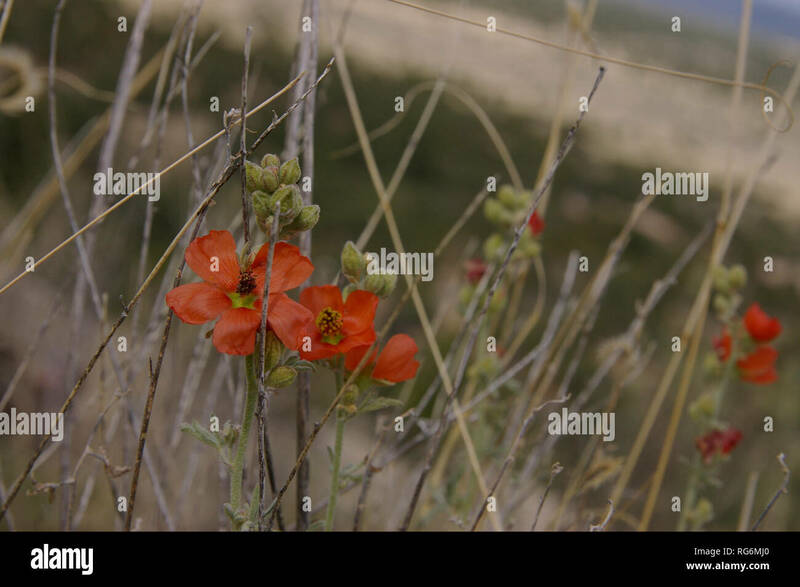 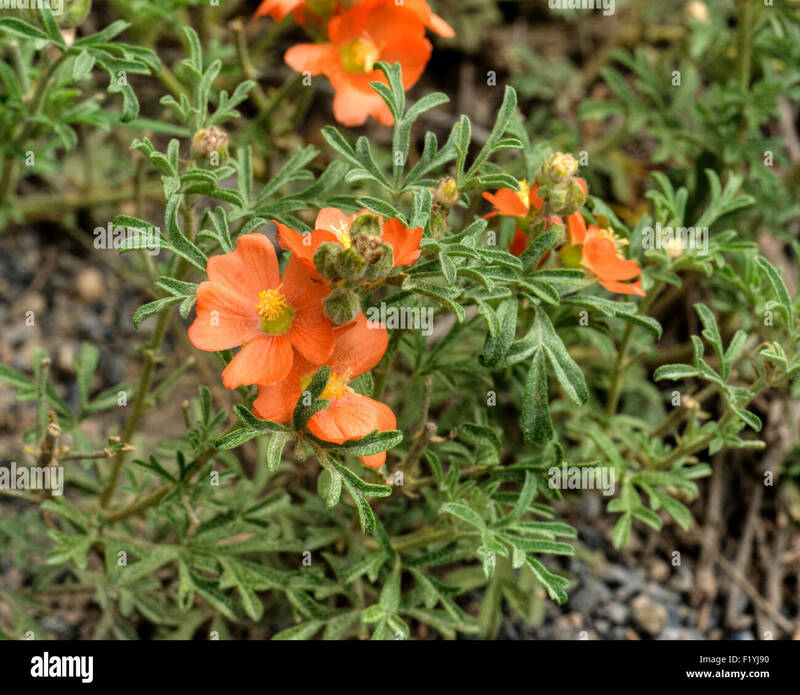 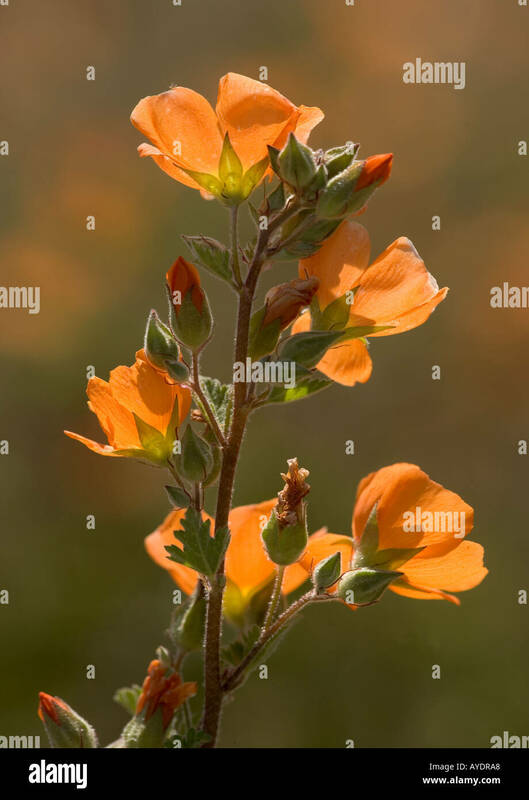 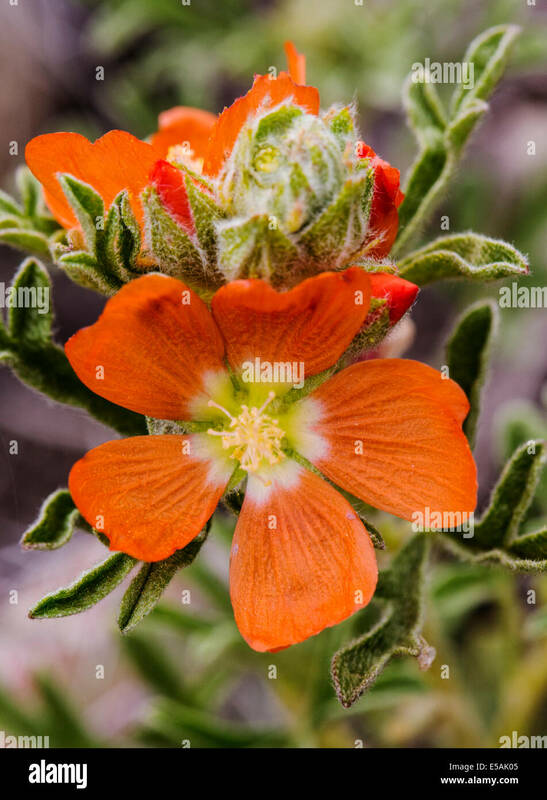 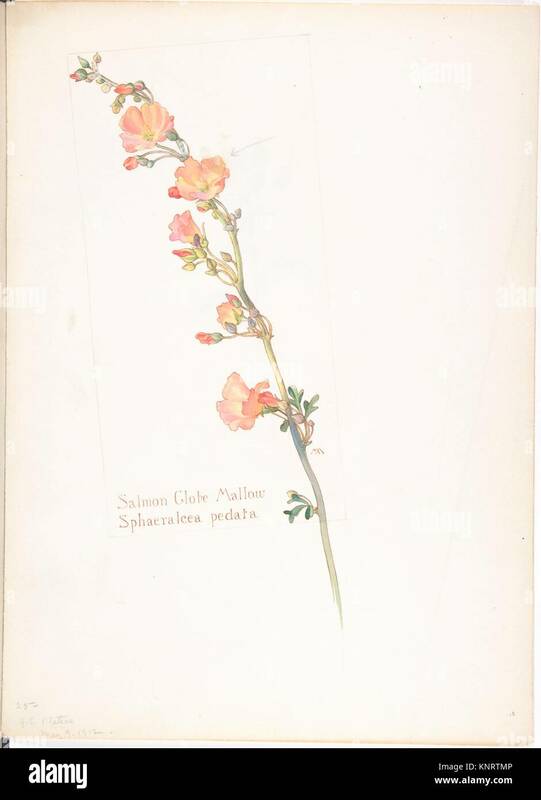 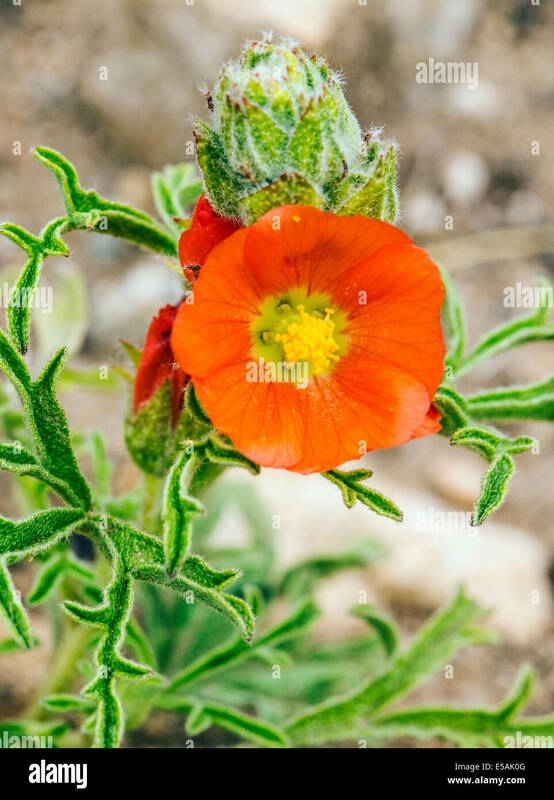 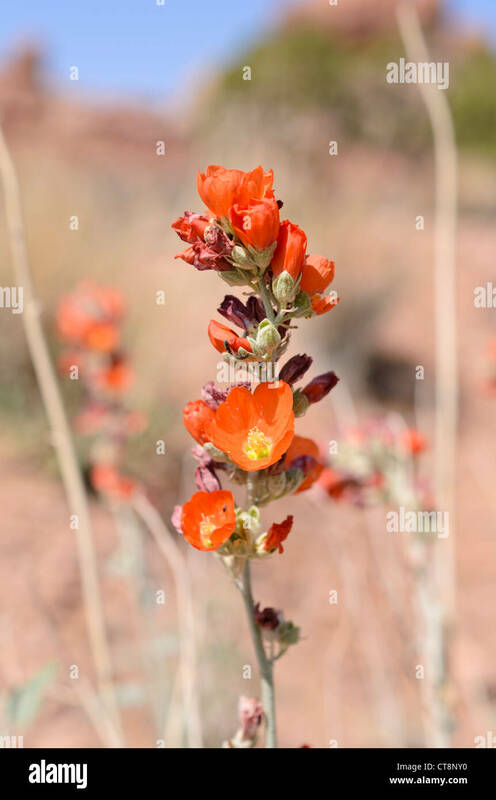 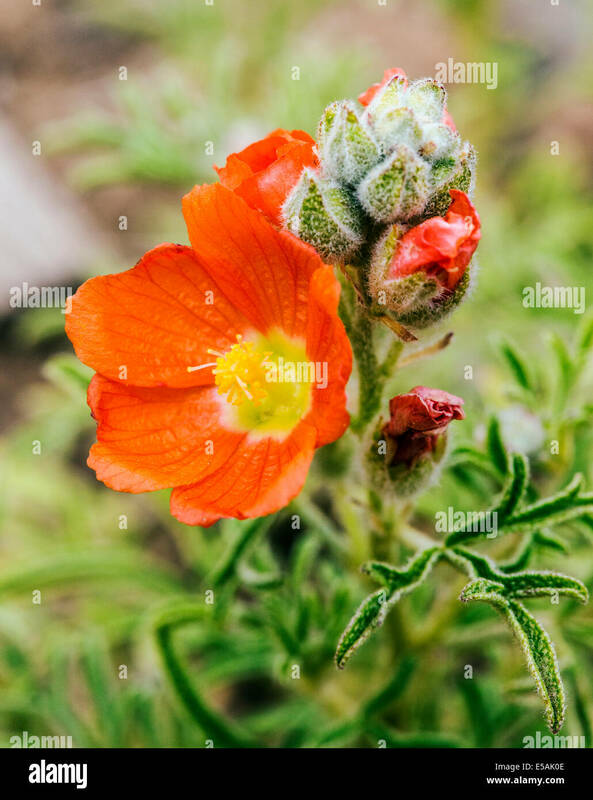 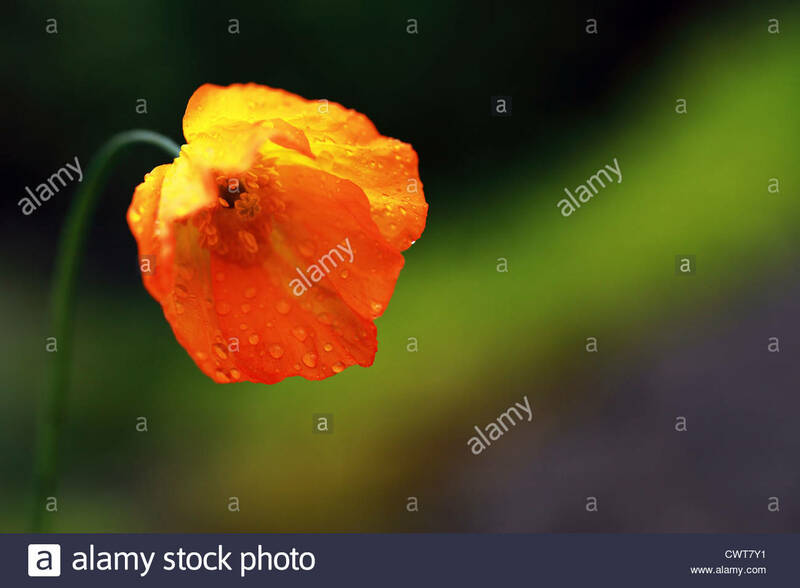 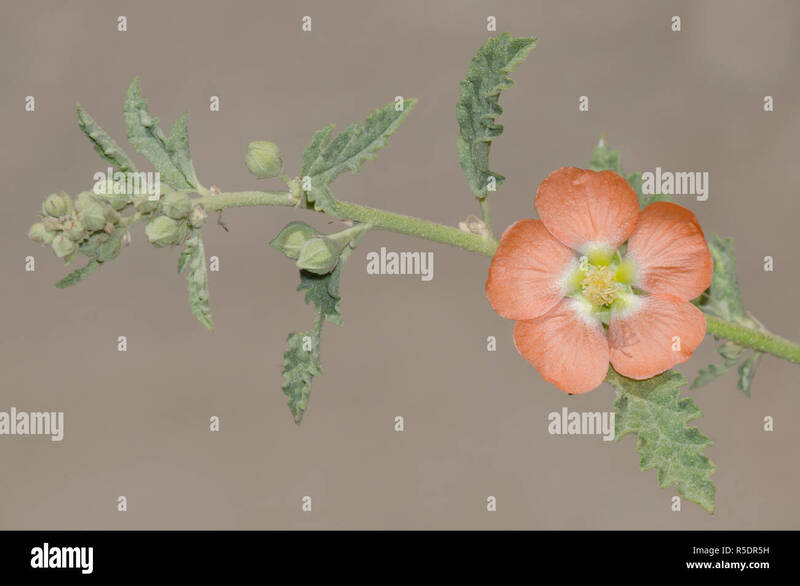 A Fendler's Globemallow (Sphaeralcea Fendleri) in southern Colorado. 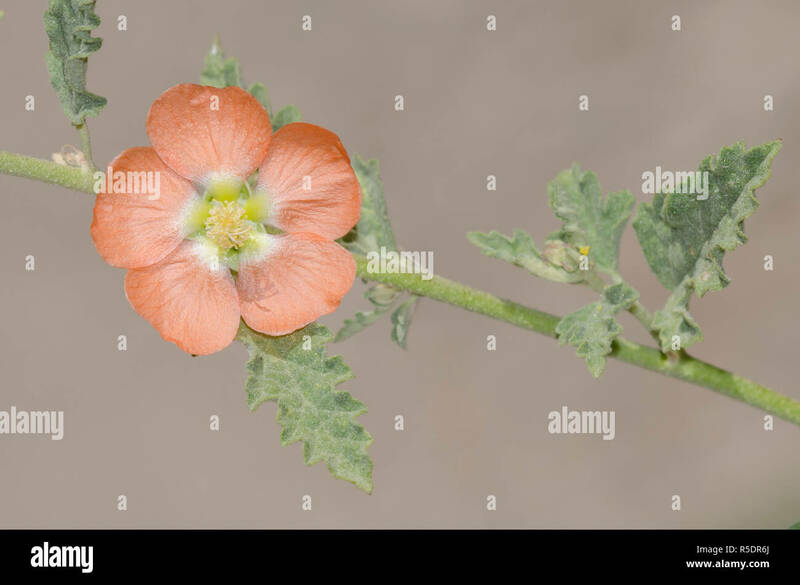 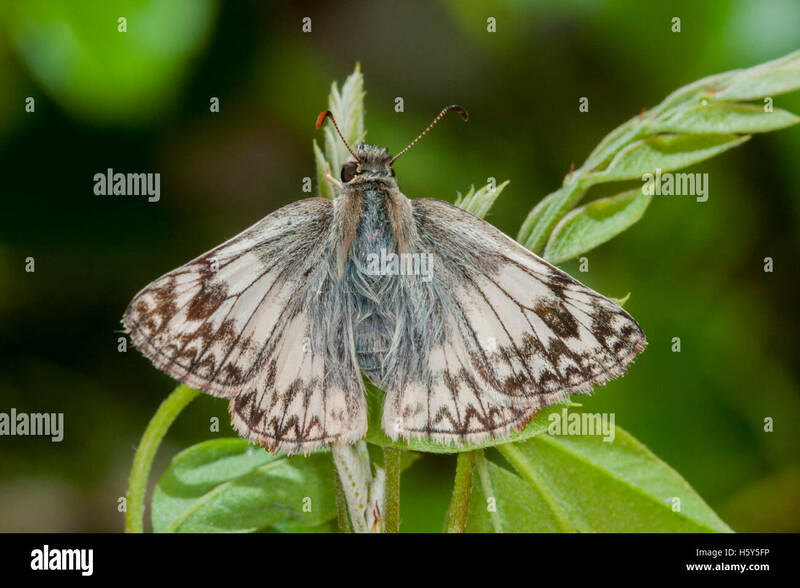 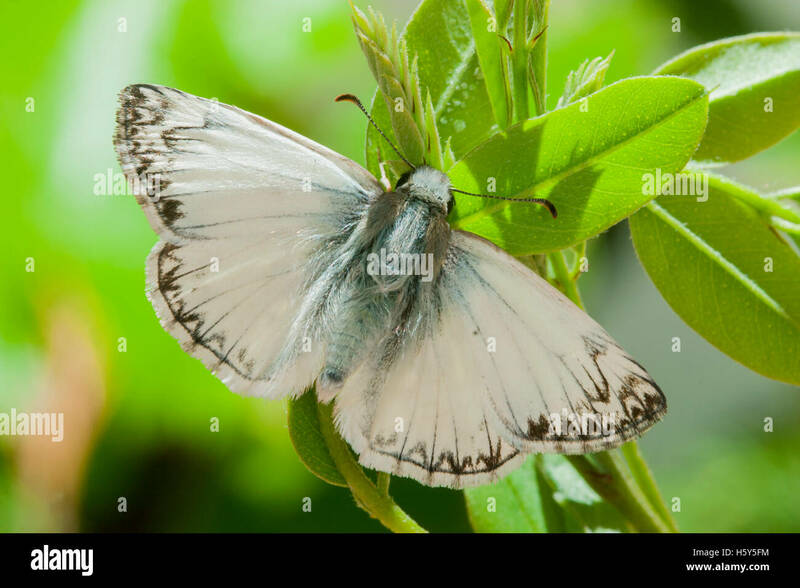 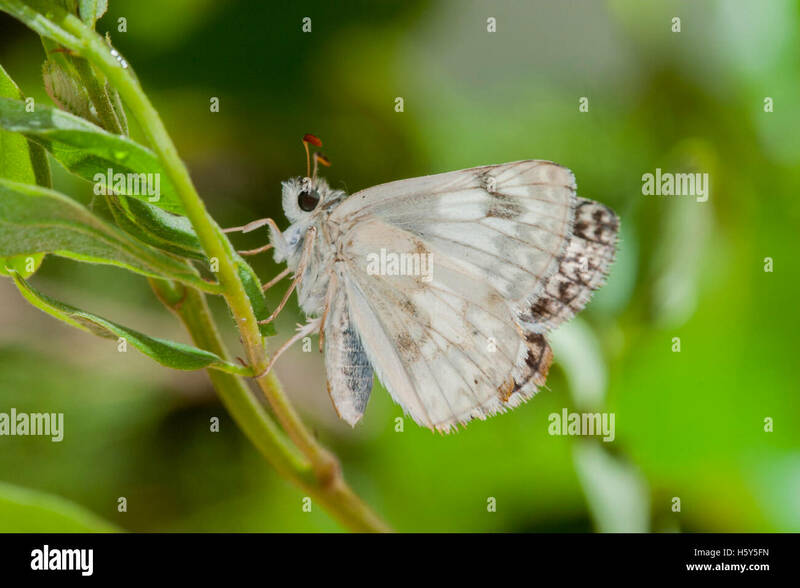 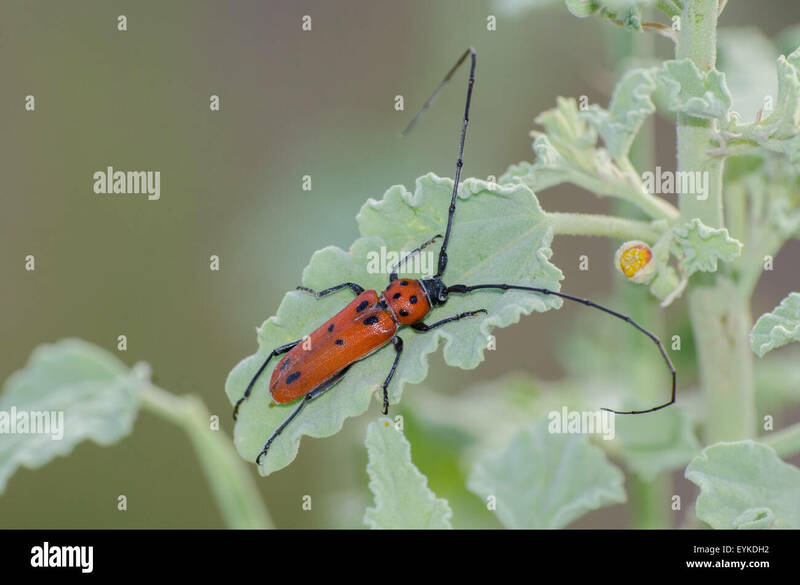 Spotted Tylosis, (Tylosis maculatus), on Globemallow, (Sphaeralcea sp. 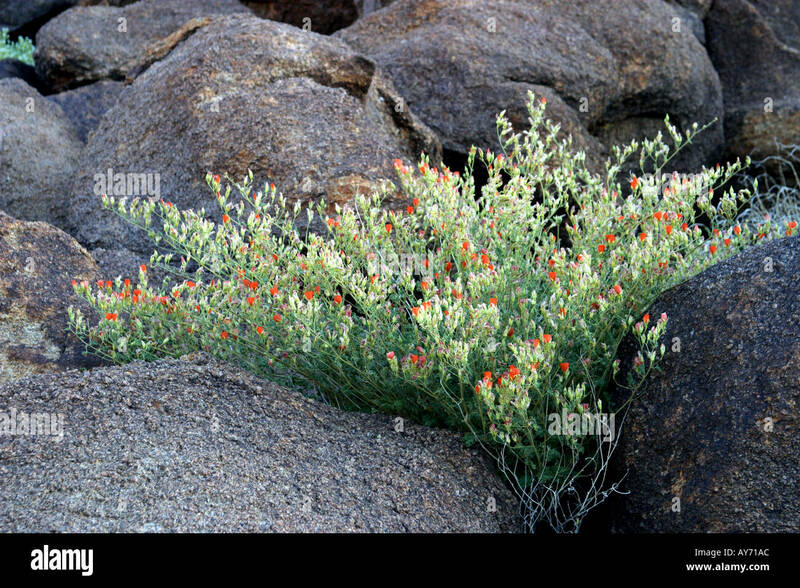 ), Volcanoes Day Use Area, Petroglyph National Monument. 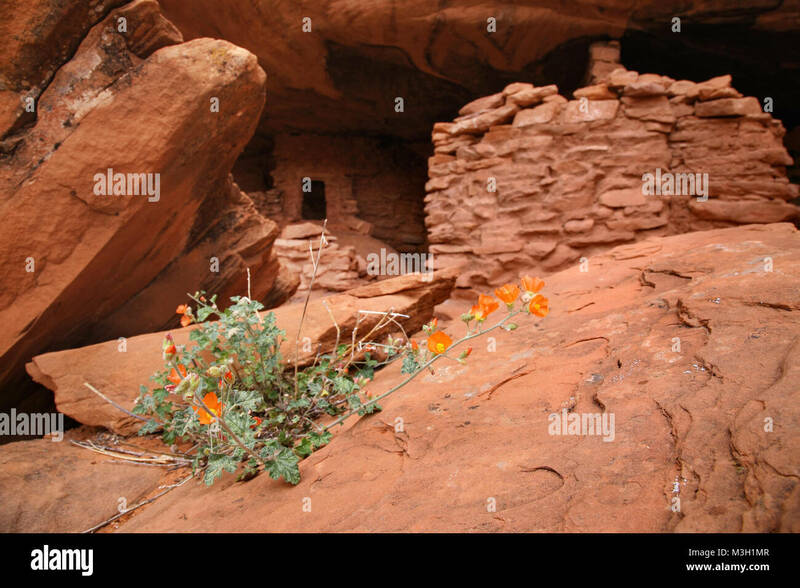 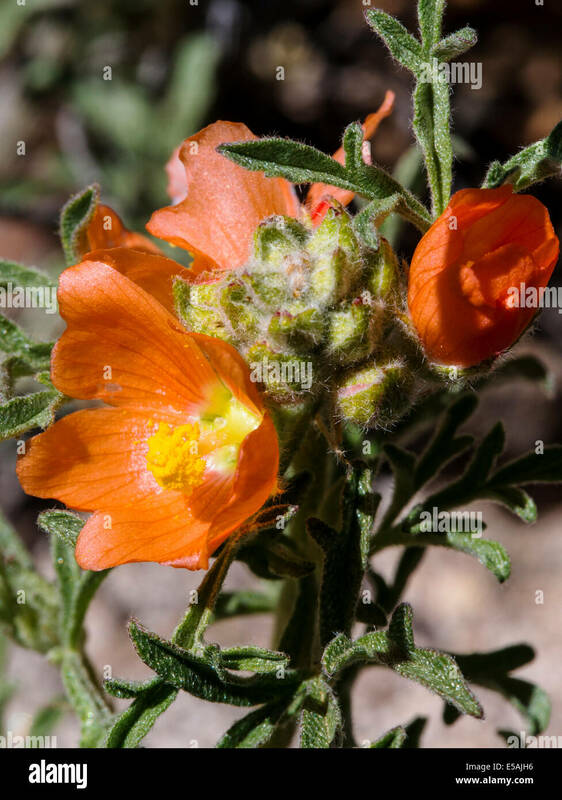 USA, Utah, Torrey, Capitol Reef National Park, Apricot Globemallow, (Sphaeralcea ambigua), along the Burr Trail road. 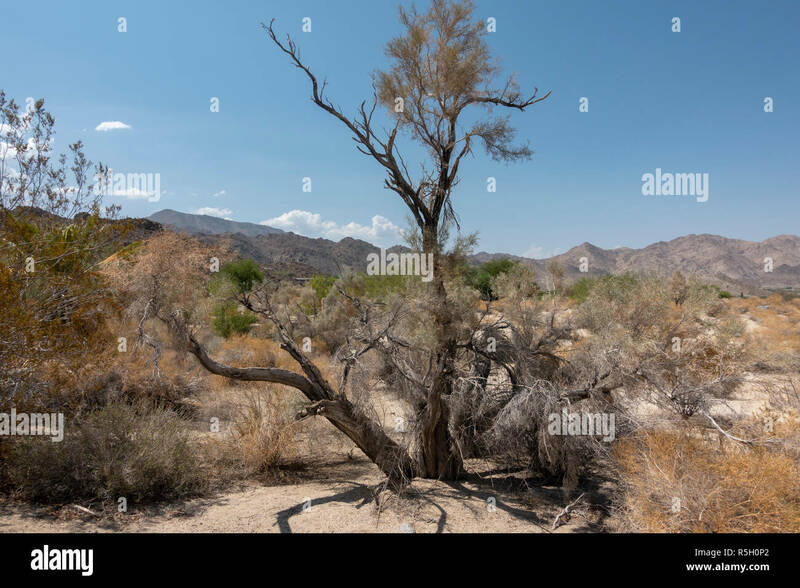 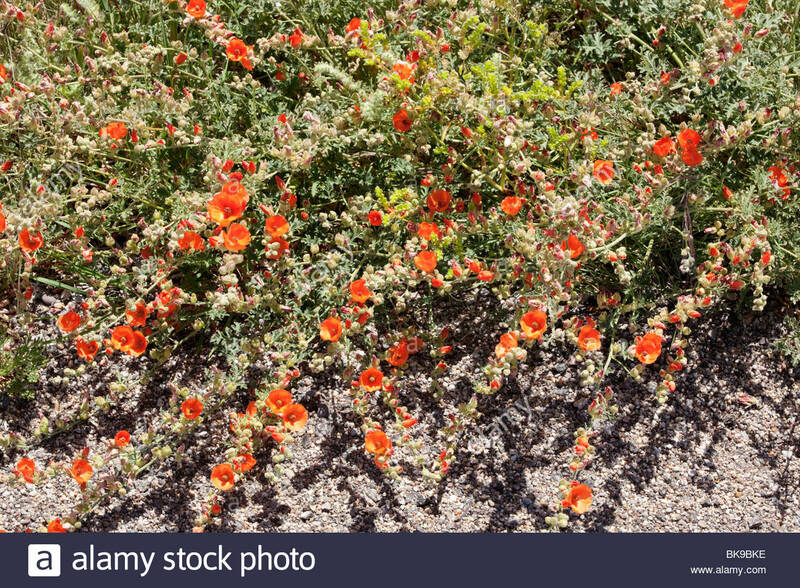 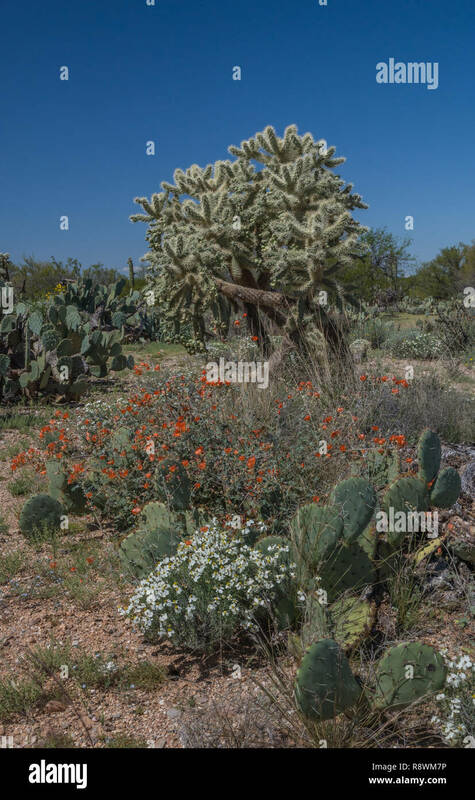 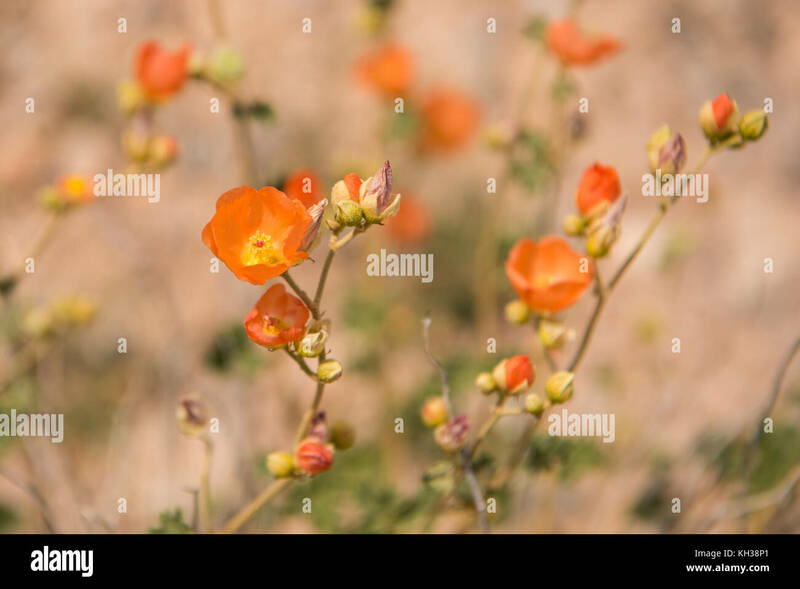 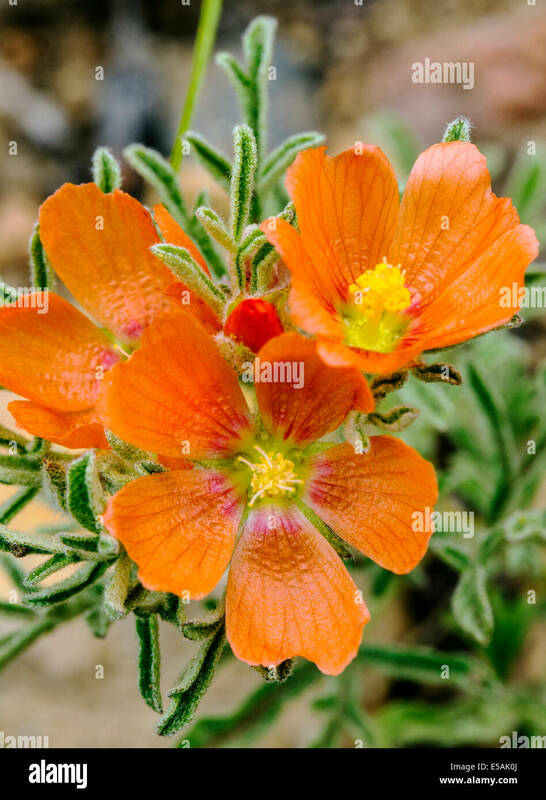 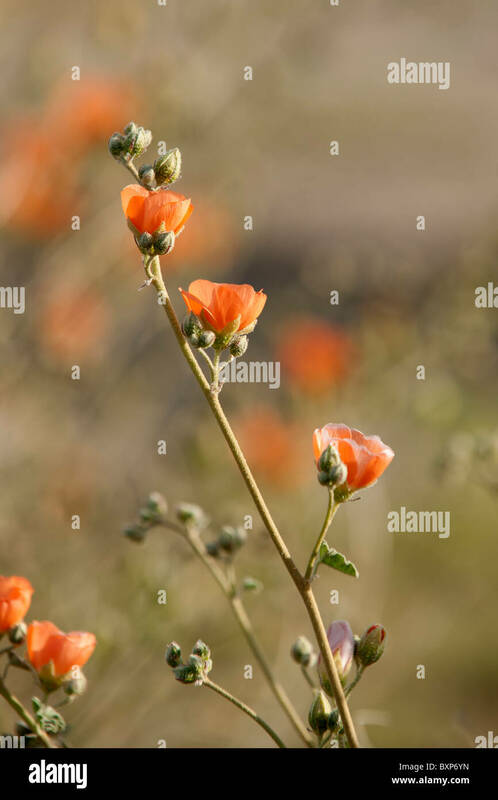 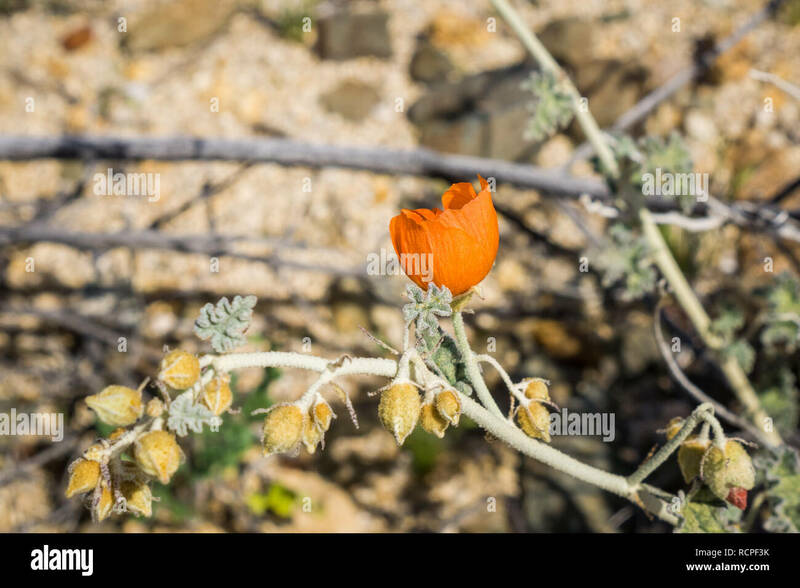 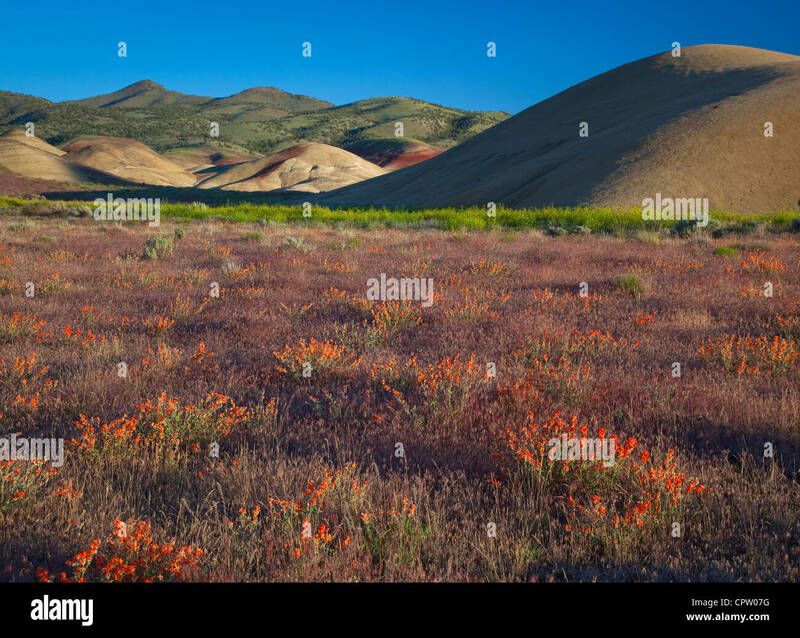 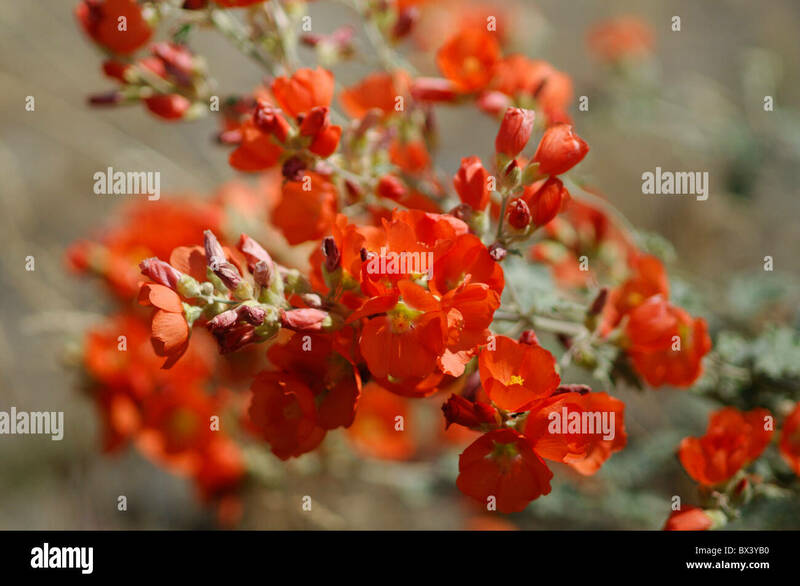 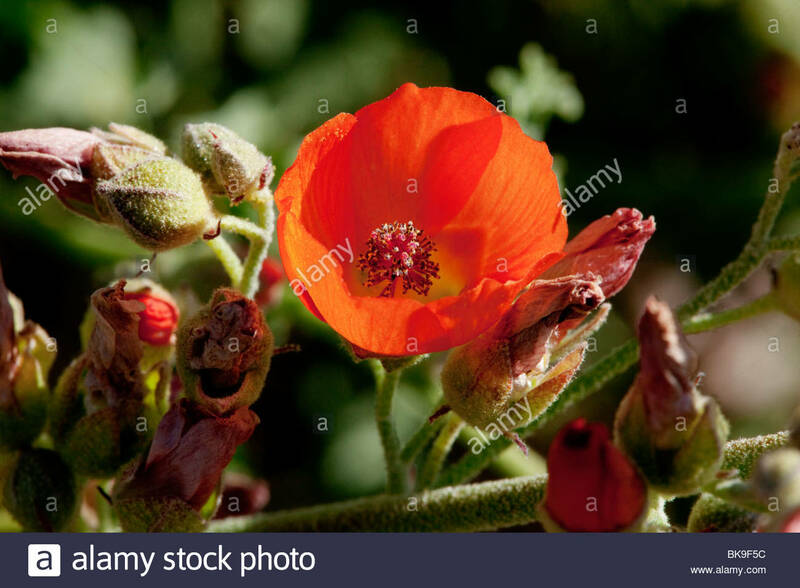 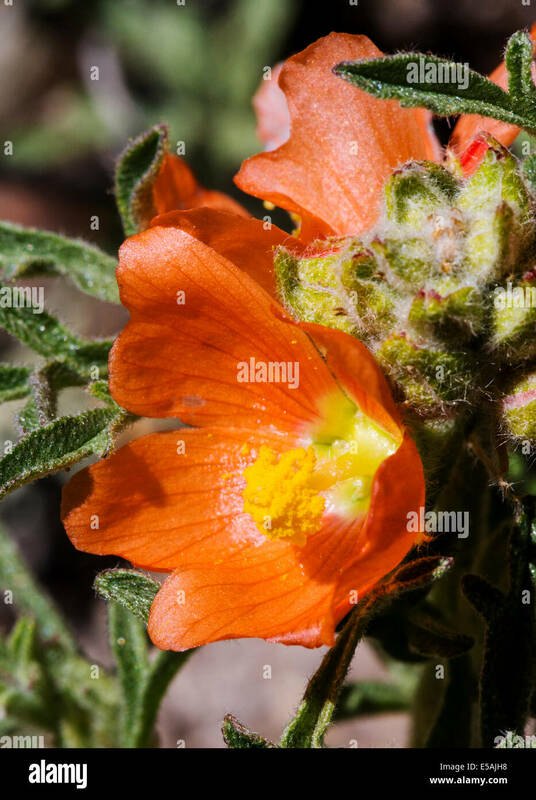 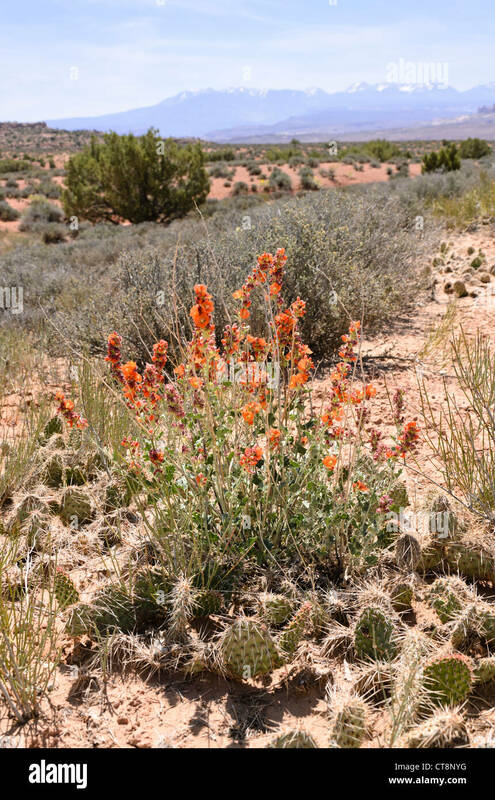 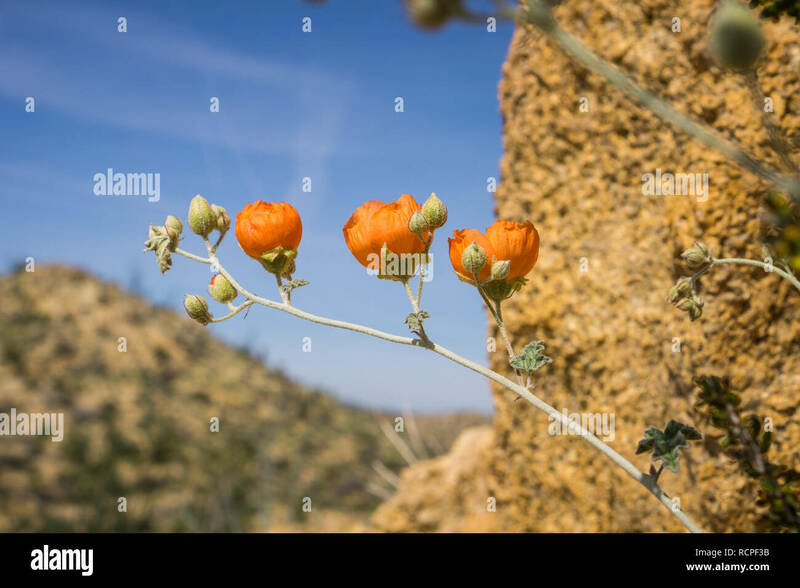 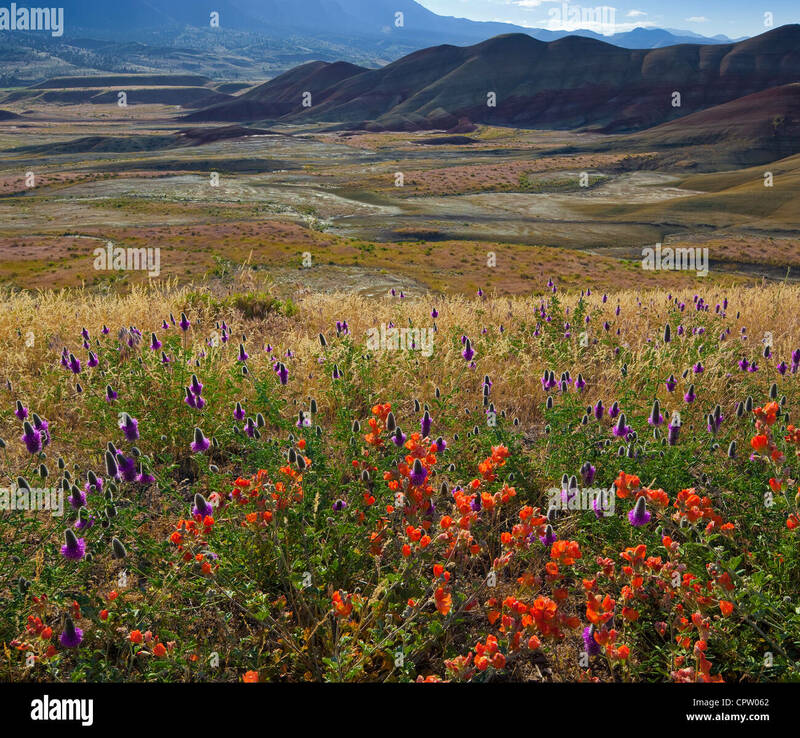 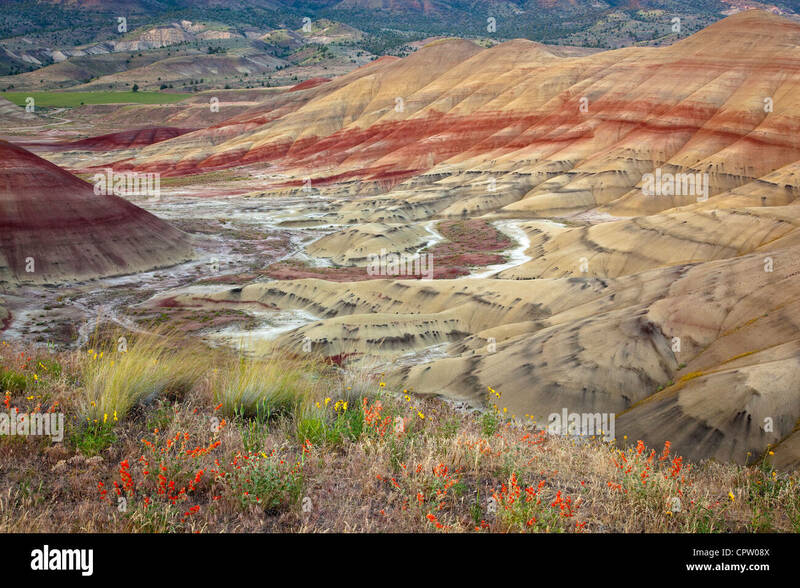 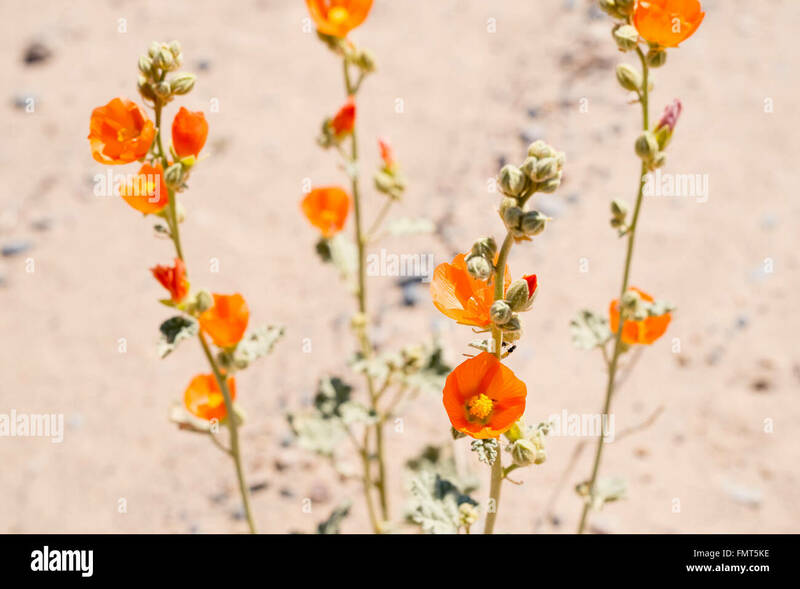 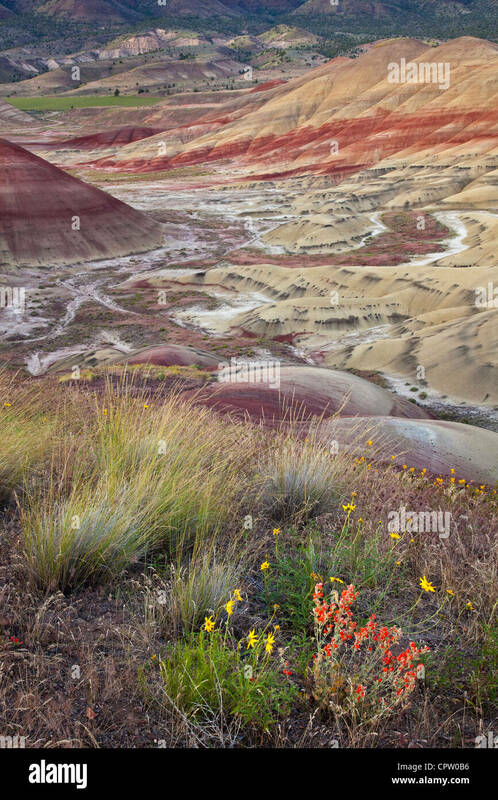 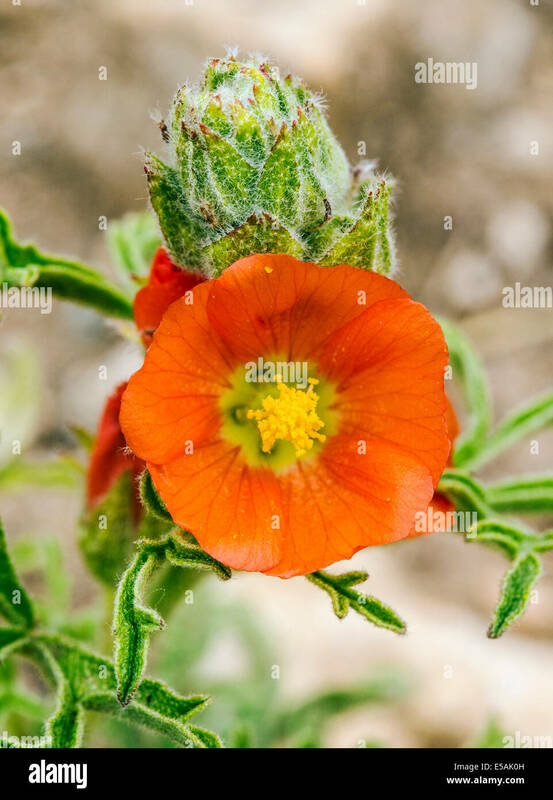 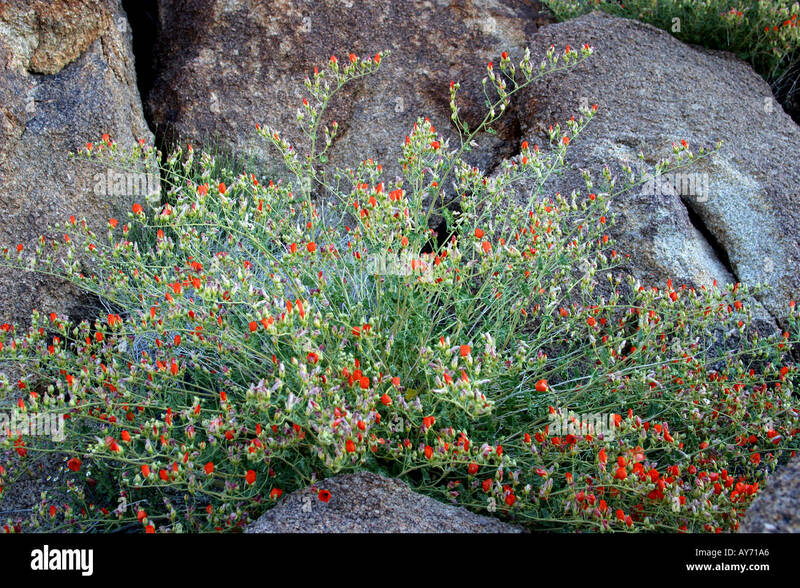 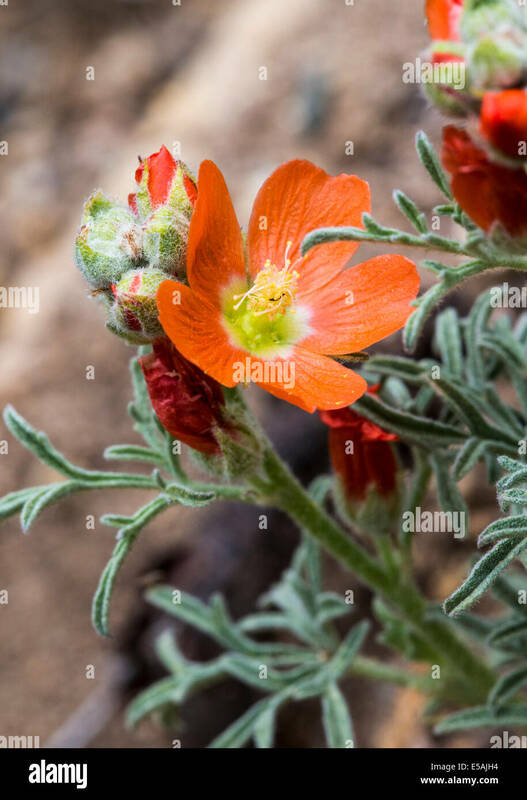 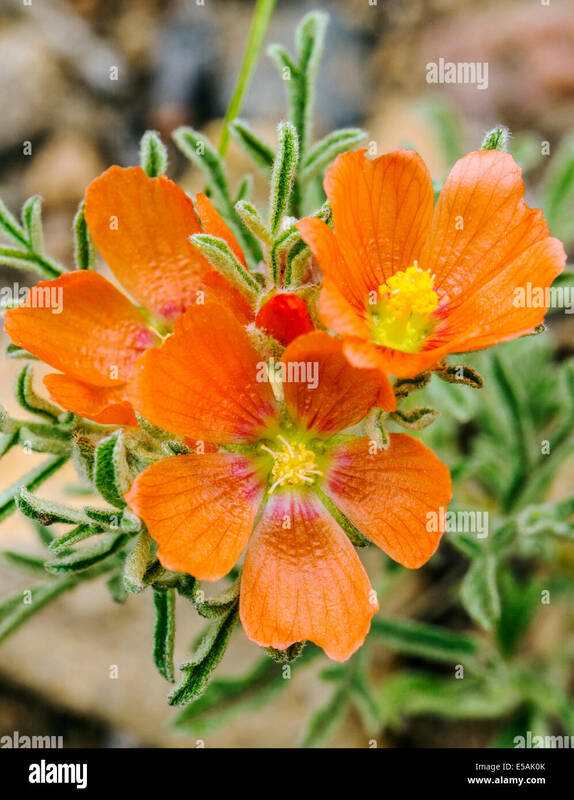 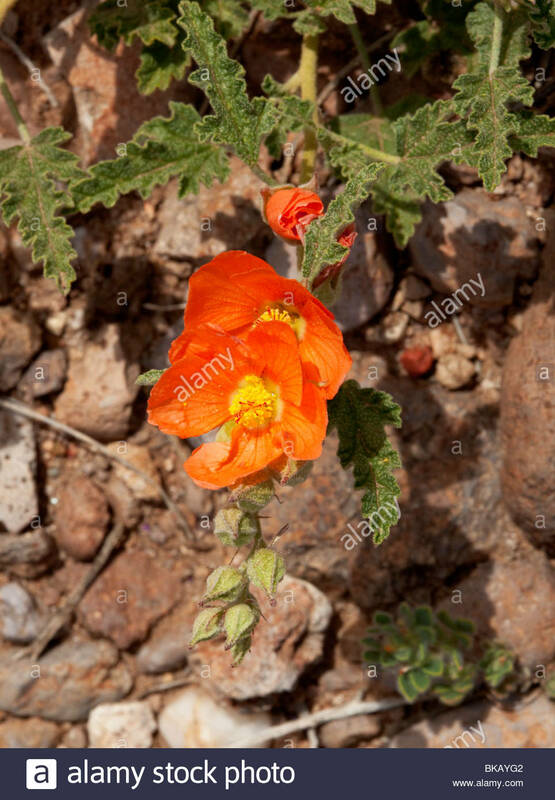 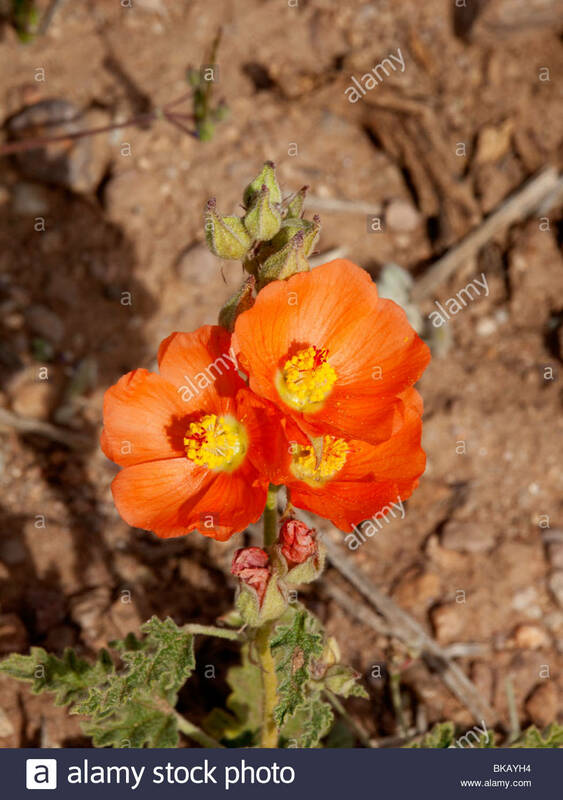 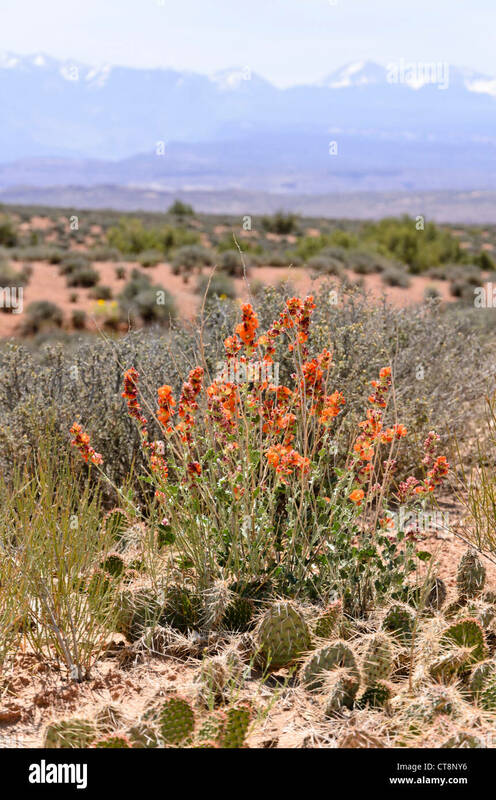 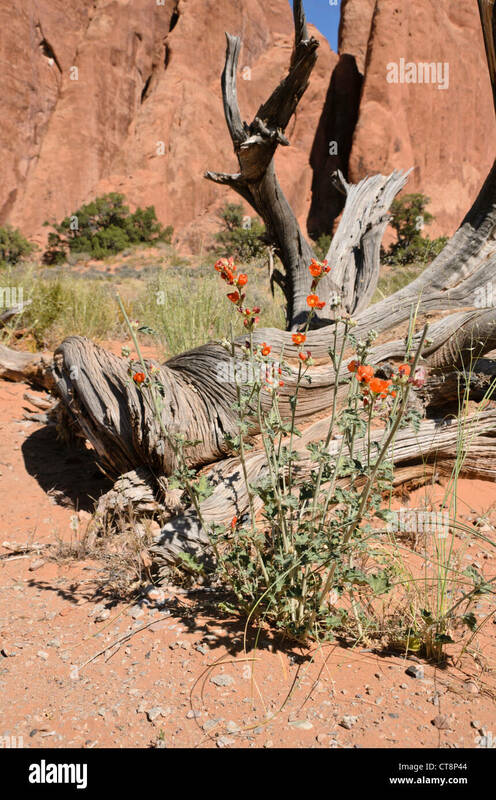 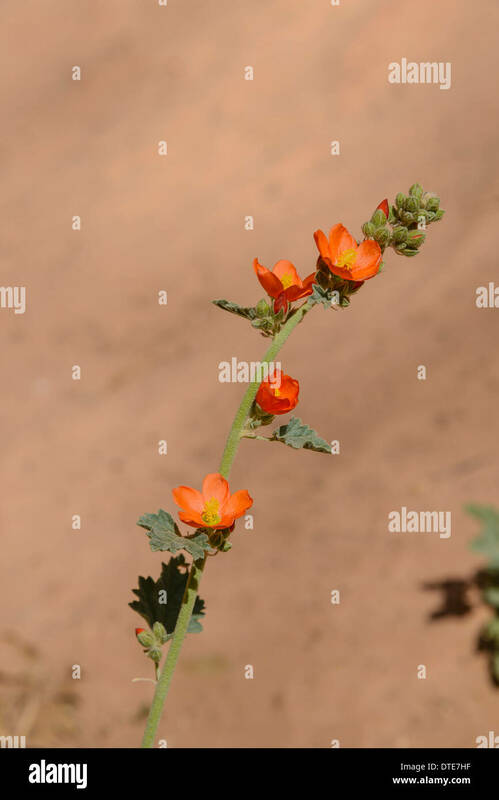 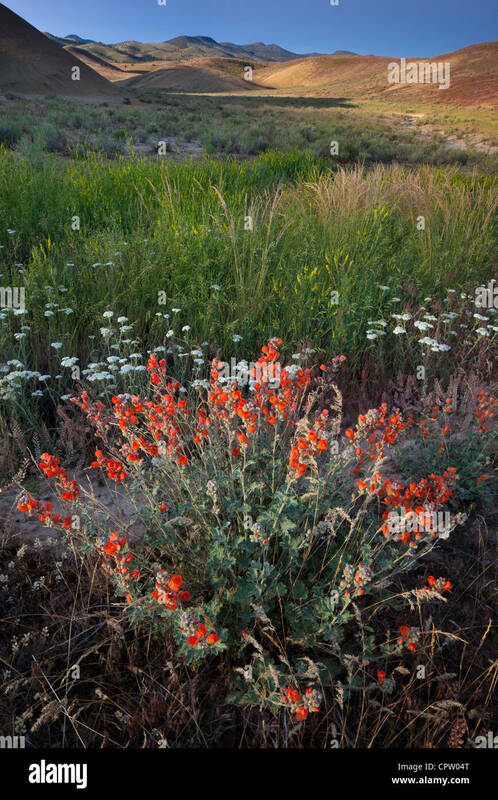 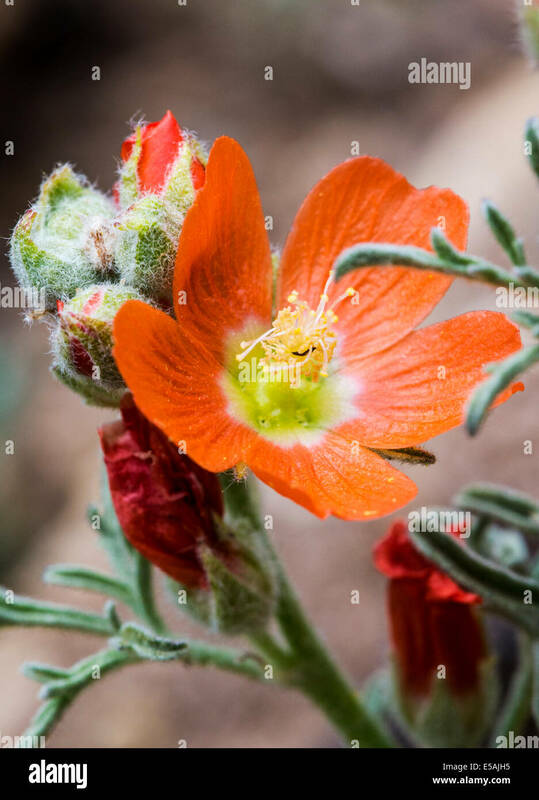 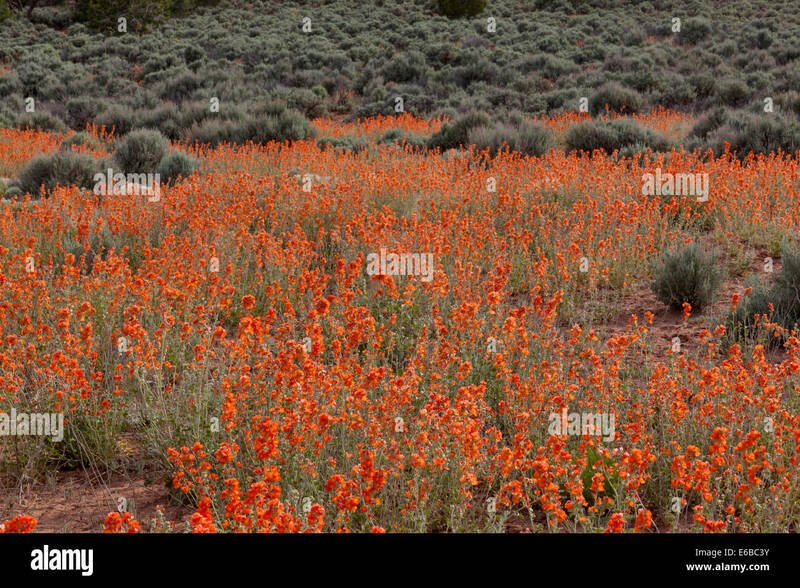 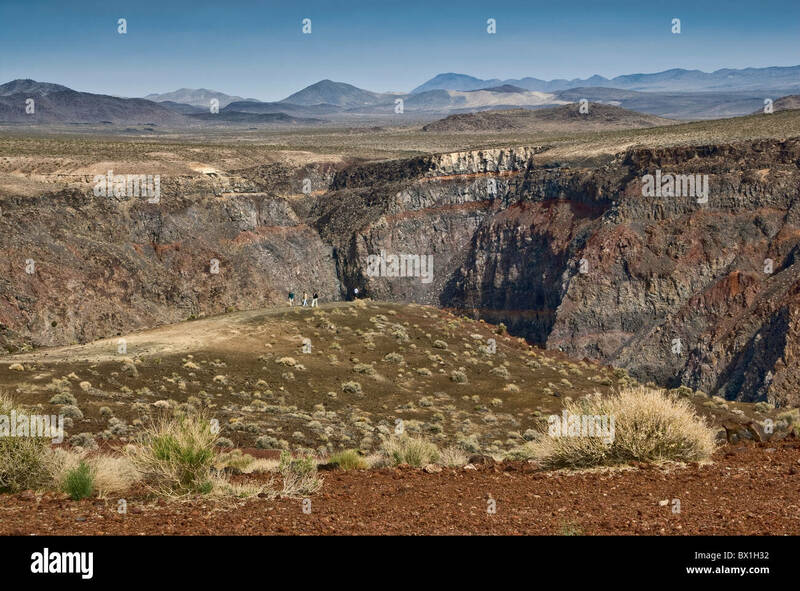 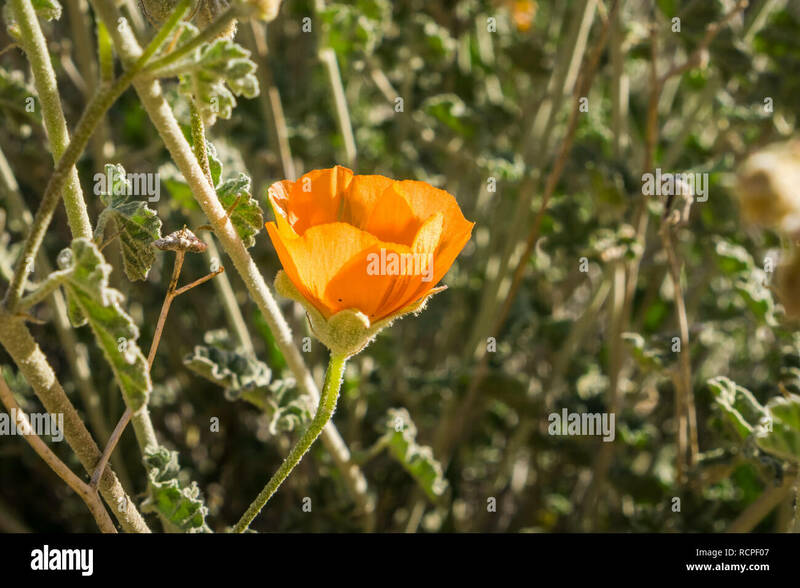 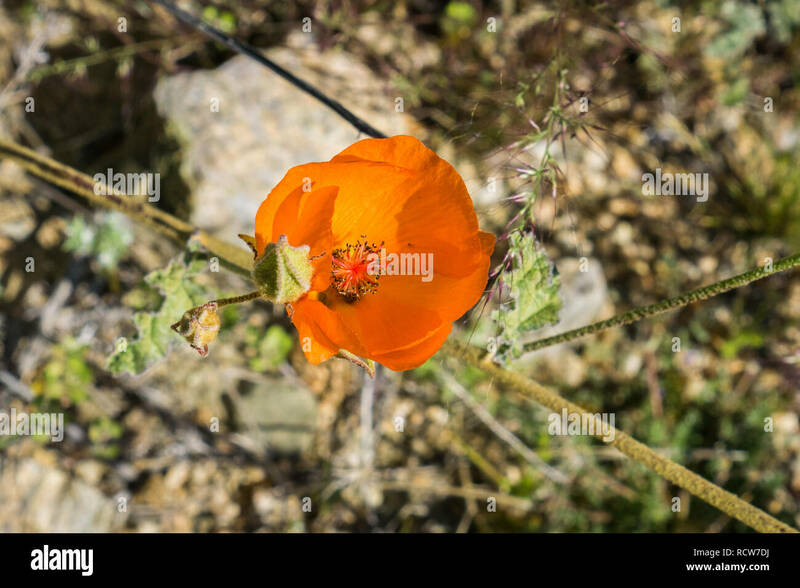 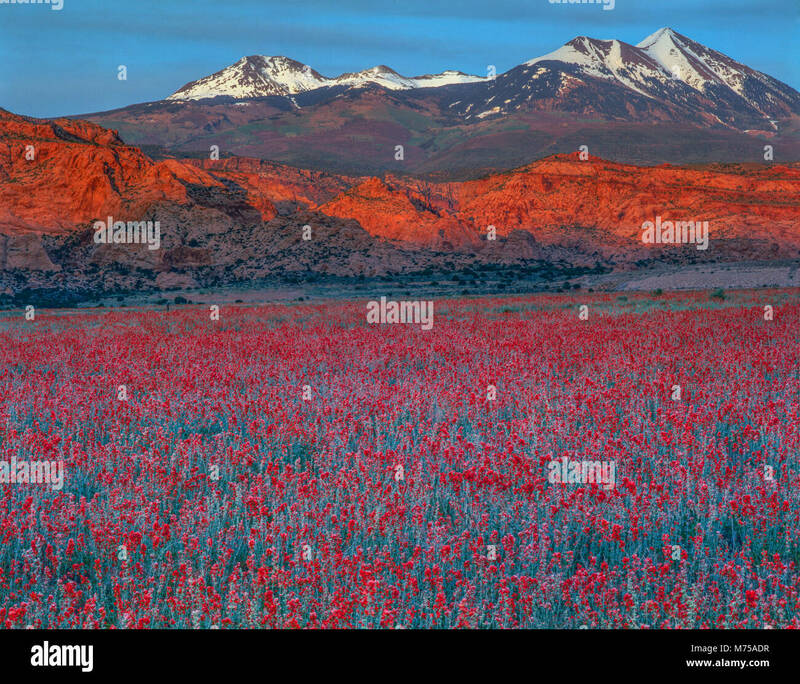 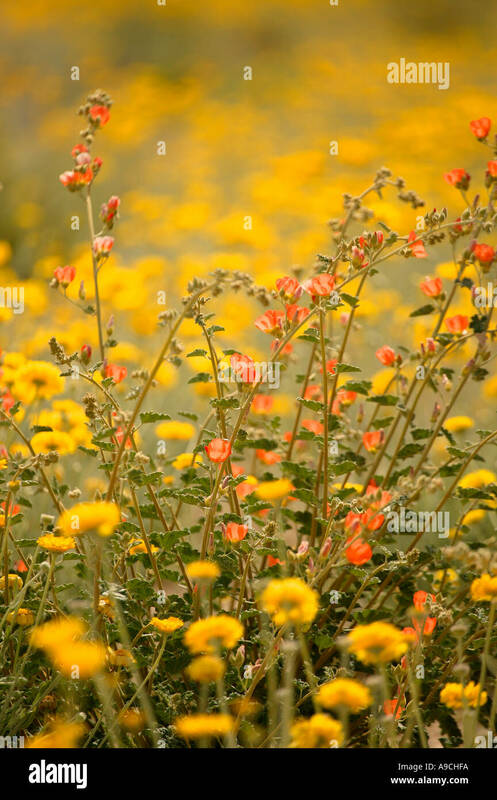 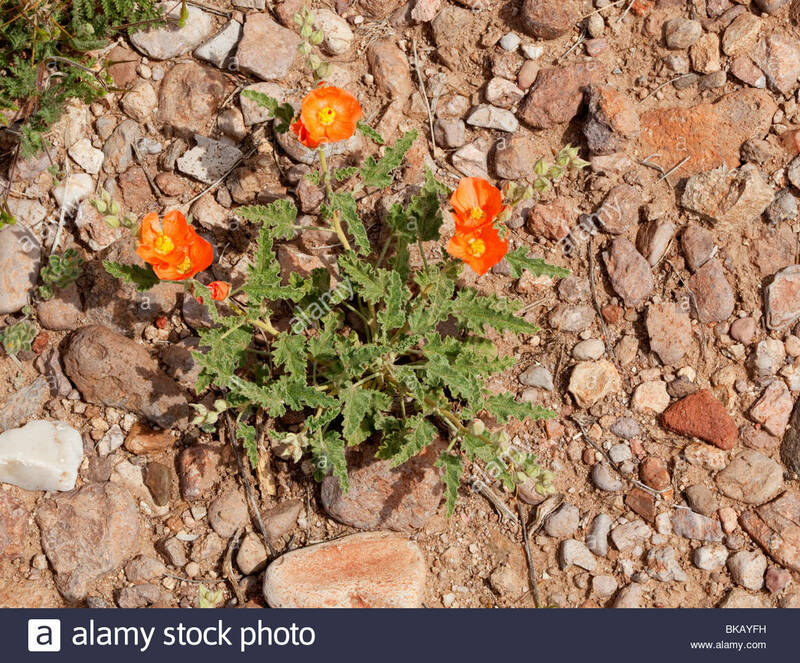 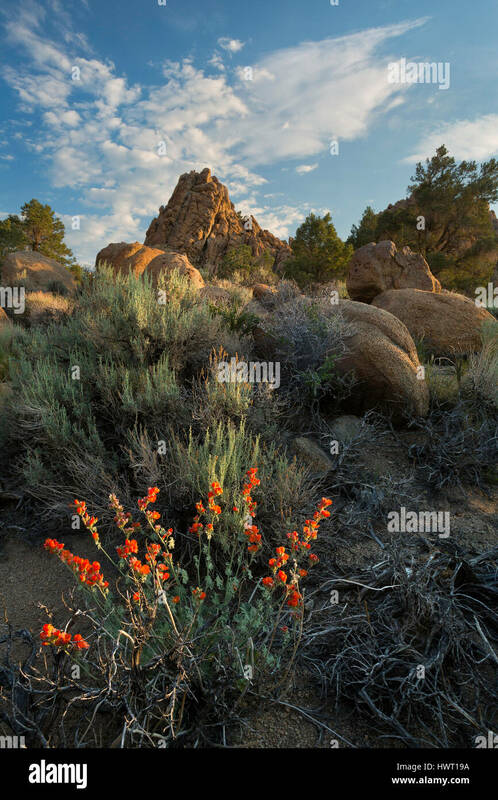 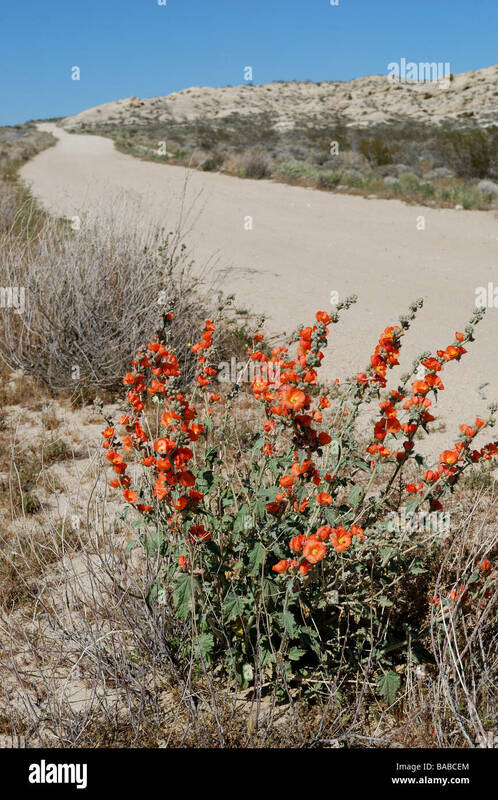 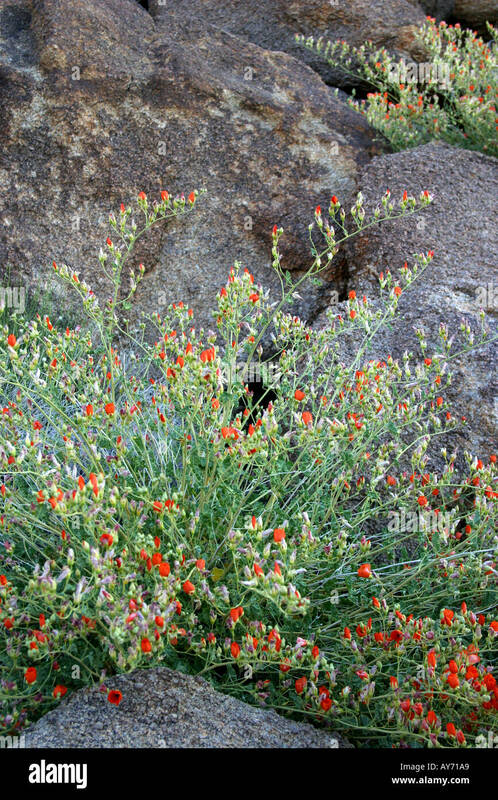 Globemallow (Sphaeralcea ambigua) anchors a desert scene in the California desert in the hills near Benton Hot Springs.